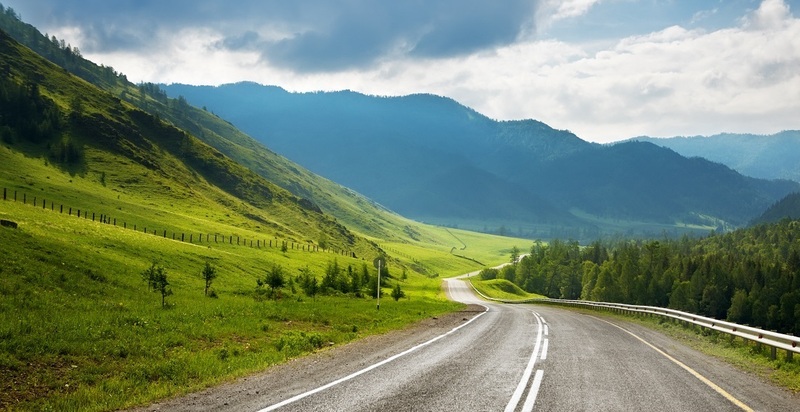 The online customer insights community landscape has radically changed. In recent years there have been several major shifts involving what communities are used for and why they’re so important. 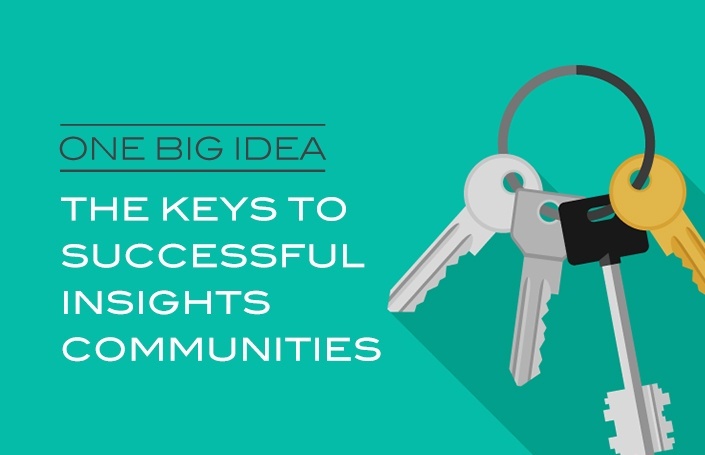 Each of these have the potential to greatly increase the value of insights communities. Dan Rhoton, Executive Director of Hopeworks joins us today on Real-World Branding. With two decades of experience helping youth and adults achieve their dreams, Dan's career path is not one to miss. With a focus on education, technology, and entrepreneurship, Hopeworks provides a positive, healing atmosphere that propels young people to build strong futures and break the cycle of violence and poverty in Camden, New Jersey. Hopeworks connects youth to life-changing opportunities where their growing technology skills go to work for enterprising businesses within our community. The real-world, on-the-job experience they gain raises their potential and benefits our partners. If you like our podcast, please subscribe and leave us a rating! 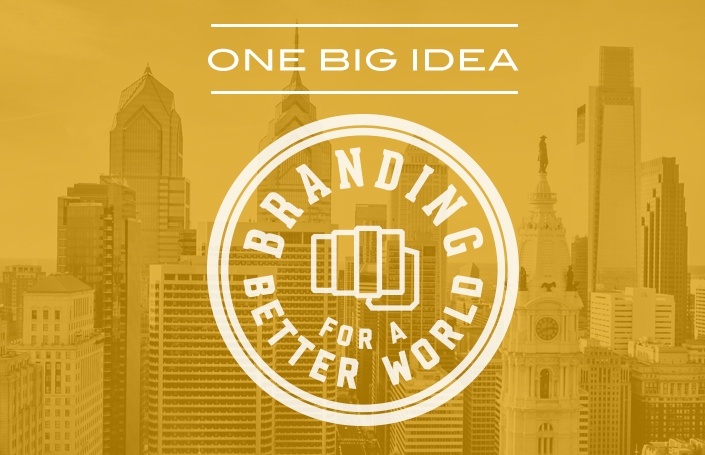 We have two guests today on Real-World Branding from The Philadelphia Contributionship - Bob Whitlock, President & CEO, and Chris Oehrle, VP of Marketing. 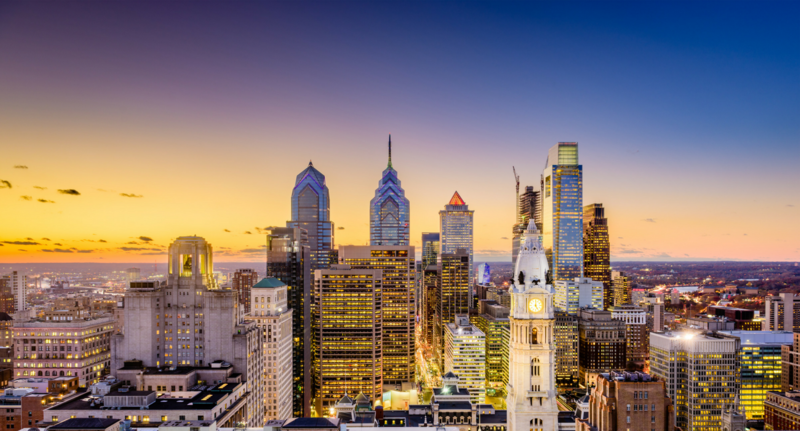 We discuss their career paths in insurance, the strength of The Philadelphia Contributionship brand that was started by Ben Franklin in 1752, and what it looks like today. If you like our podcast, please subscribe and leave us a rating! We have three of our very own from Finch Brands on the podcast today to discuss this year's Superbowl ads. 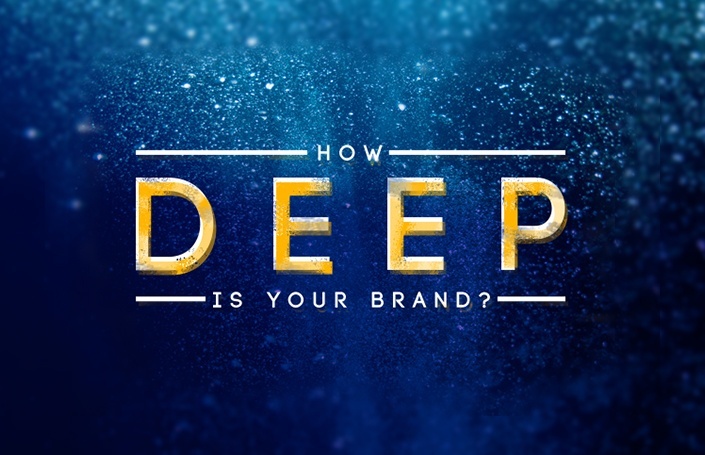 John Ferreira, Senior VP Insights and Innovation; Lauren Collier, Senior VP Brand and Marketing Strategy; and Jessica Koffman, Creative Director join us today to discuss which brands made a lasting impression and which brands made the wrong impression. Pam Cummings Director of Marketing & Operations (and etc.) 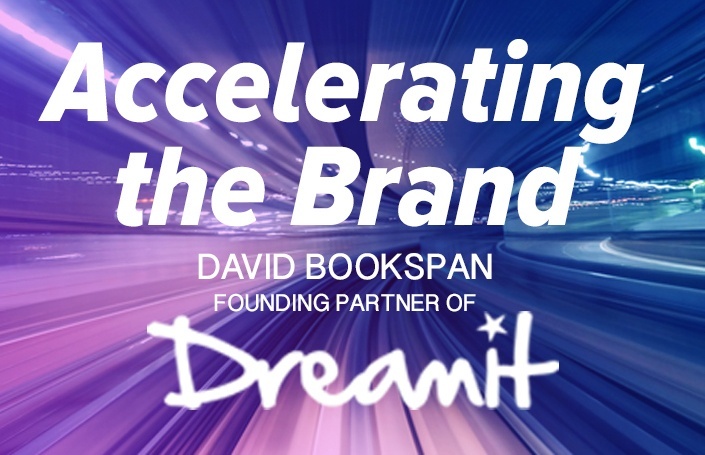 at Active Day, joins us today on the Real-World Branding Podcast. Pam shares her experience, discusses health care trends, and details how transforming the brand has taken Active Day to the next level. 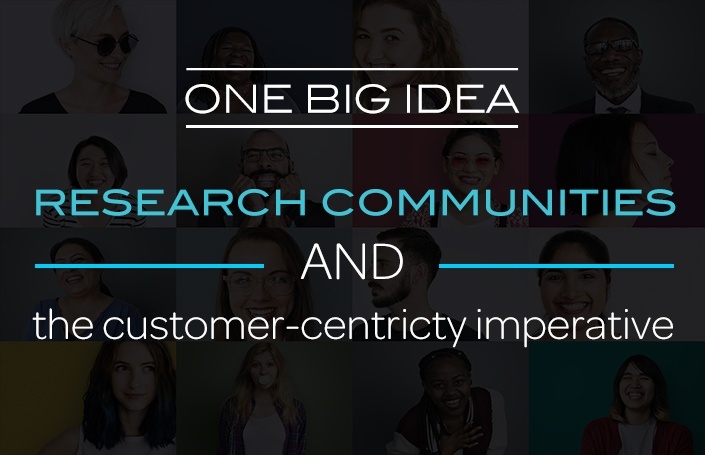 The Market Research Online Community (MROC) used to be a niche and novel solution for early adopter consumer insights teams and customer-obsessed organizations. Simply having one was a unique competitive advantage. Insights communities are now a critical resource for the majority of the world’s leading brands and businesses. 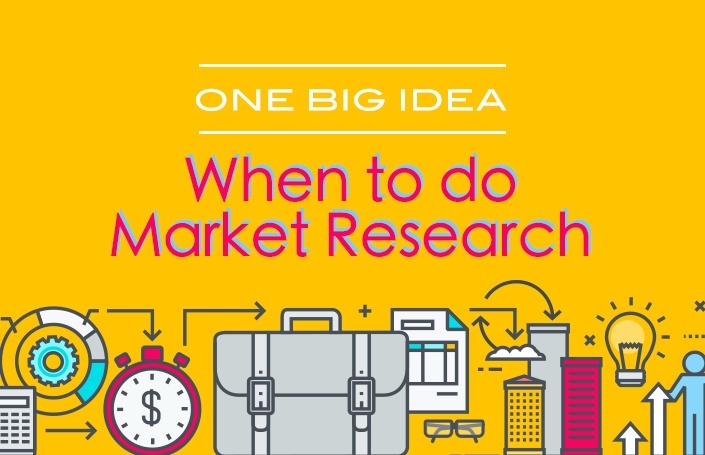 These market research engines are often so embedded that organizations can’t imagine conducting business without them. Brad Goldoor, Co-Founder, Chief People Officer at Phenom People, joins us today on the Real-World Branding Podcast. 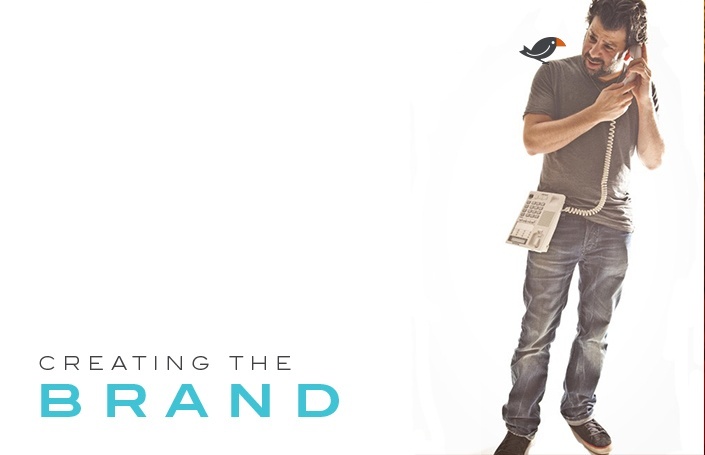 Brad shares his background as an entrepreneur, and his philosophies of how to build a brand from the inside out. If you like our podcast, please subscribe and leave us a rating! Charles Sutherland, Chief Product Officer at Sagent Lending Technologies, joins us today for Episode 101 of the Real-World Branding Podcast. 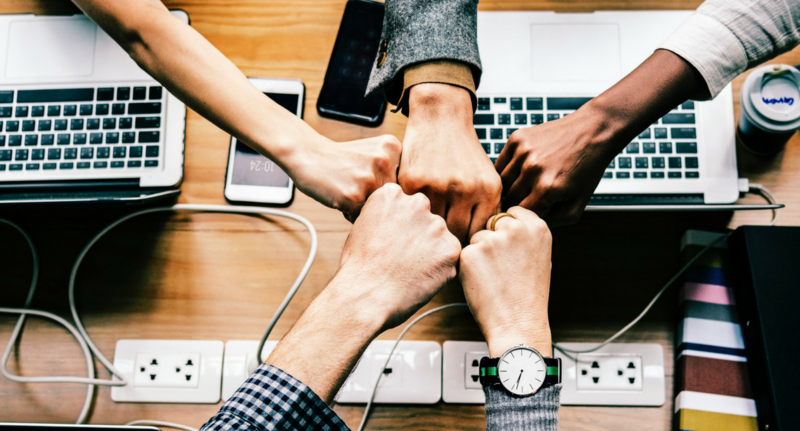 Charles shares his lessons learned through branding Sagent, which branched off from Fiserv, and the power of experiences. 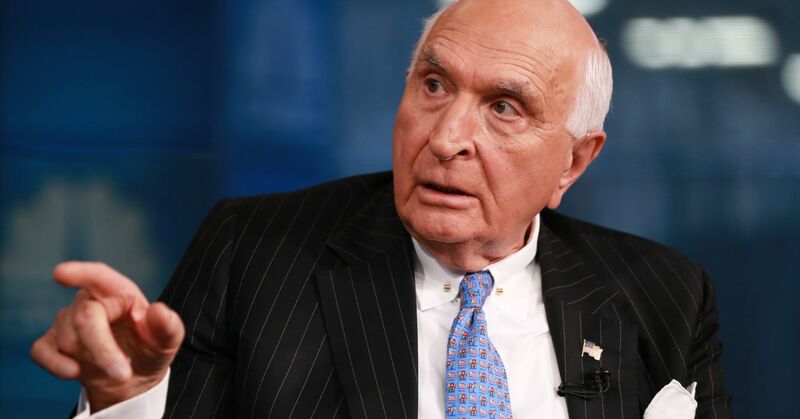 Ken Langone, icon and philanthropist, is best known for co-founding Home Depot and he joins us today for episode 100 of the Real-World Branding Podcast. Ken shares his insights on why relationships matter and why he sees his recent memoir, ‘I Love Capitalism,’ as particularly important now. If you like our podcast, please subscribe and leave us a rating! 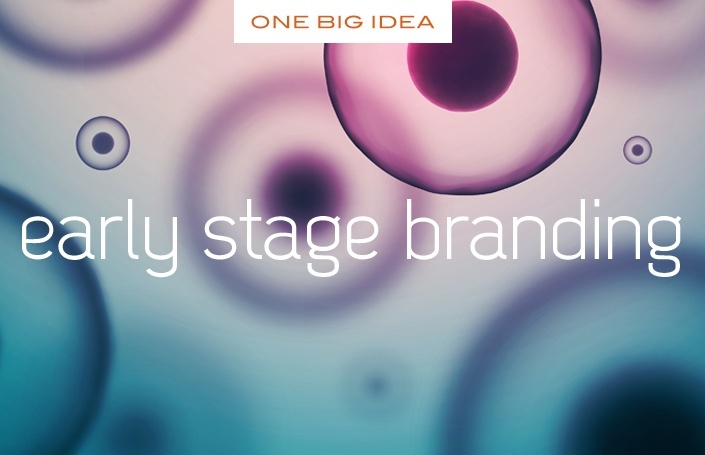 Tony Perlak, CEO, and Erin Hoskins, CMO, of Allied Health Media join us to share their backgrounds and the rebranding process that they went through at Allied Health Media. If you like our podcast, please subscribe and leave us a rating! 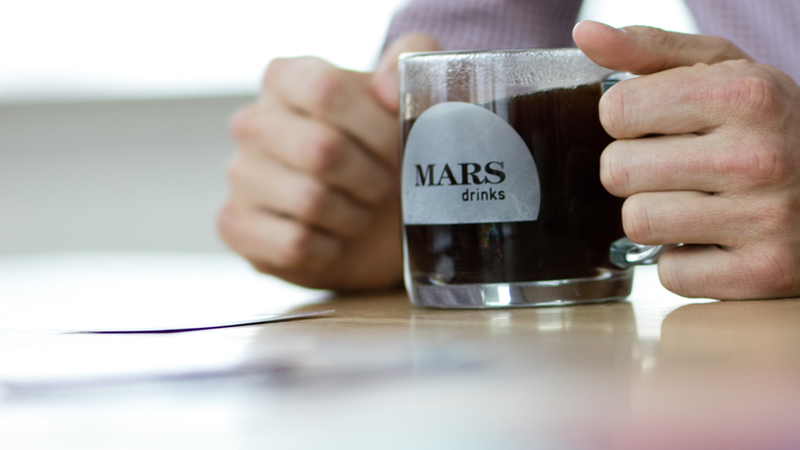 Bruce Williamson, Global VP of Innovation & Chief Marketing Officer of Mars Drinks, joins us to share his incredible experiences and research into why some people leave a lasting legacy at work. If you like our podcast, please subscribe and leave us a rating! 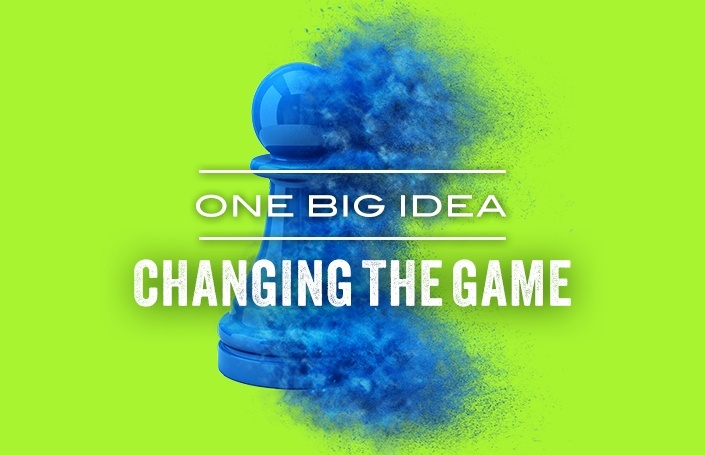 Jim Martin, Chief Strategy Officer of SIM International, joins us this week to share his experience on how SIM integrated acquisitions to build a greater whole. If you like our podcast, please subscribe and leave us a rating! 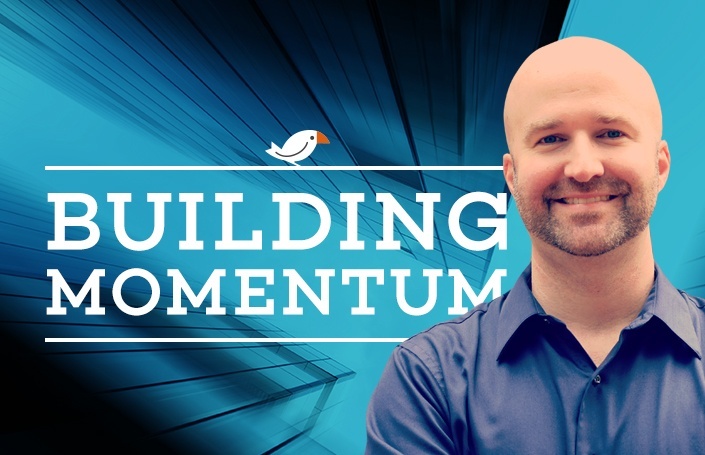 Jon Kramer, Managing Director at JMK solutions, joins us this week to share his early objectives and eventual career arc that has led him to be an expert in the realm of shopper marketing. Listen as Jon reveals his best advice, including 4 crucial steps for success for newbies in the business world. 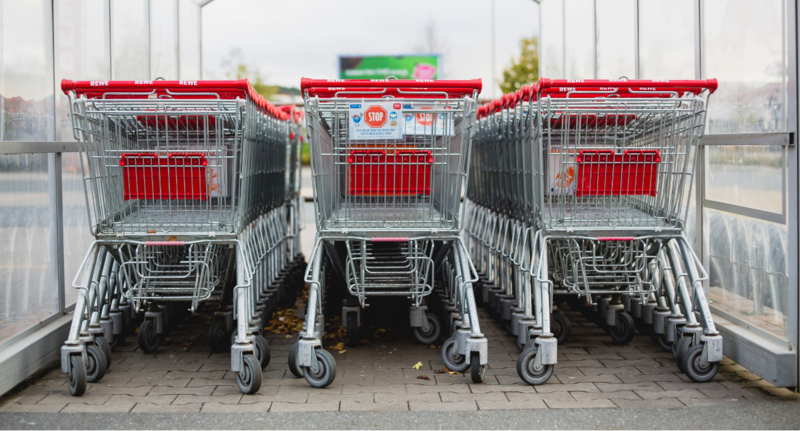 Insights communities can be an invaluable tool for any organization that aspires to climb the ladder of consumer-centricity and become truly customer-obsessed. 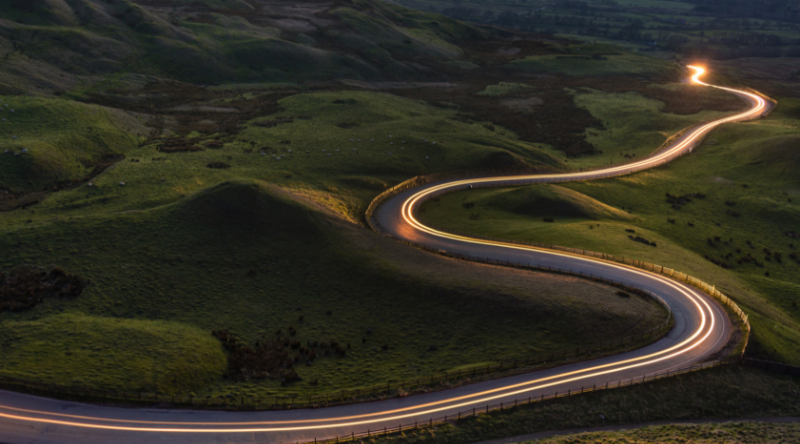 In this blog, we reveal how the Fortune 500 use communities to outpace their competition. 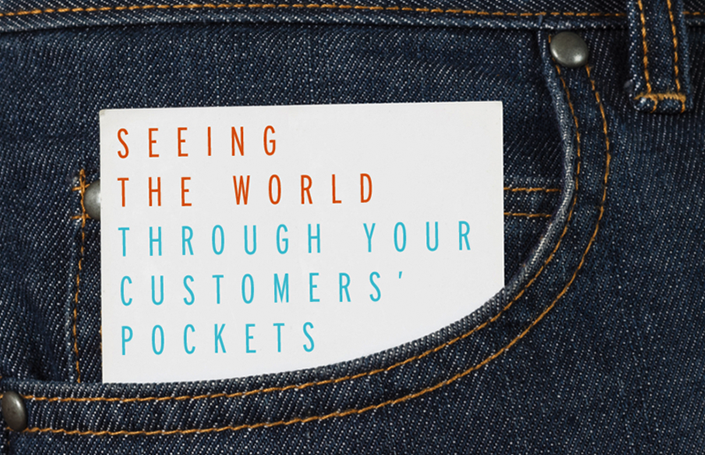 In this week's episode, we sit down with Tim DeGennaro and John Ferreira to discuss the shifts in the world of market research and methodologies that 60% of the worlds largest brands are using to better understand consumers and win when it matters most. With insights communities, you can play, take risks, pivot, experiment, and evolve to include the customer’s voice into any challenge you’re facing. 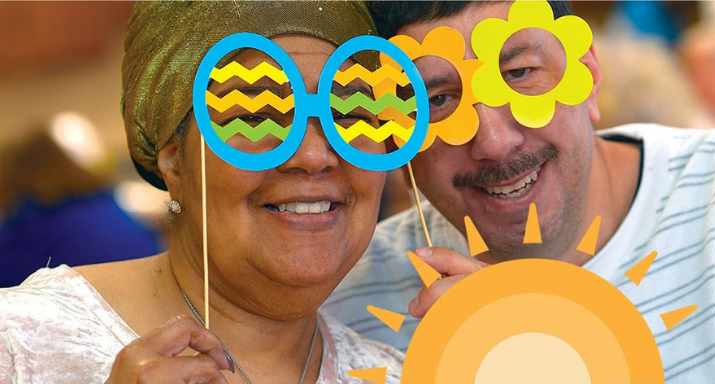 We outline the surprising applications enabled by the speed, flexibility, and forgiving nature of community research and the experts that manage them. 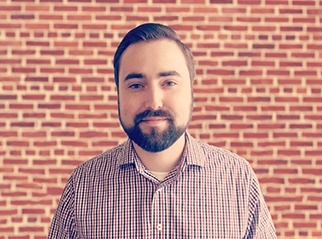 Chris Malone is the co-author of The Human Brand. 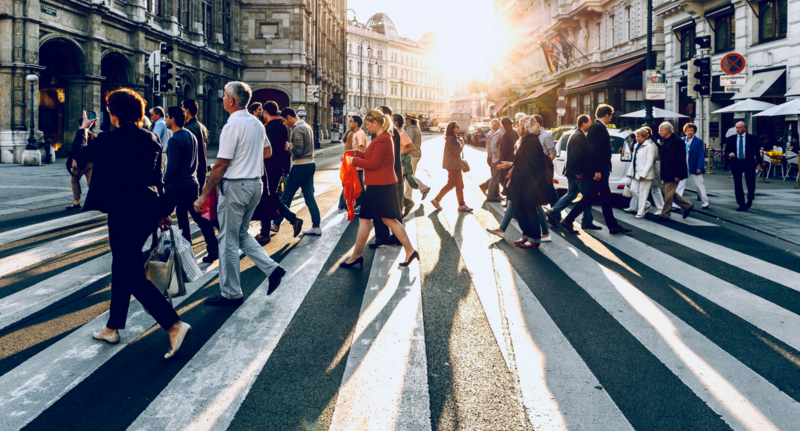 Following three years of research, Chris explains how social psychology and the way we interact with humans mirrors how we interact with brands, products, and companies. Todd Rothenberger is SVP and CMO of Diamond Credit Union. 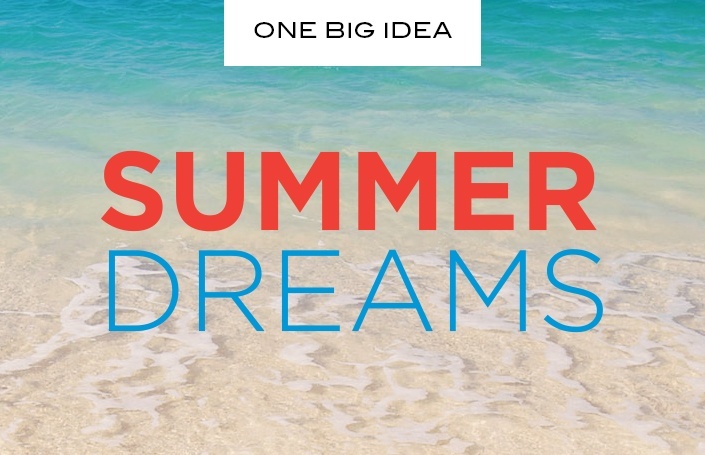 Credit unions are interesting for a variety of reasons, but Todd and his team have been extremely effective at telling the Diamond story and conveying their difference to compel consumers to choose Diamond. 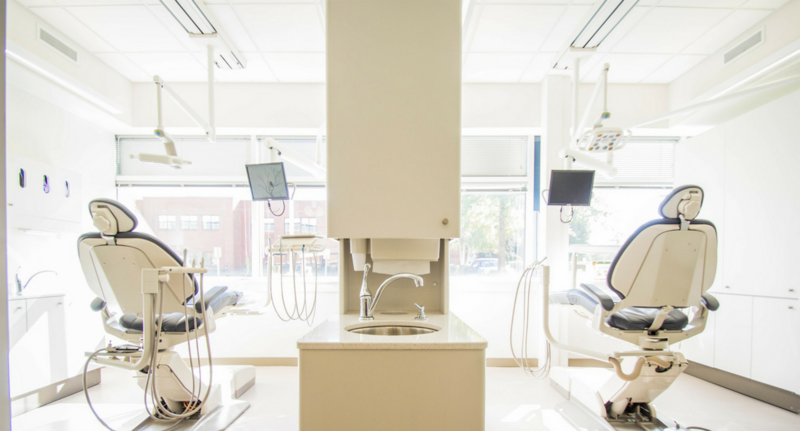 Kleer is a brand and platform that cuts out the middle man and connects dentists directly with consumers to make dental care accessible and easy for all. 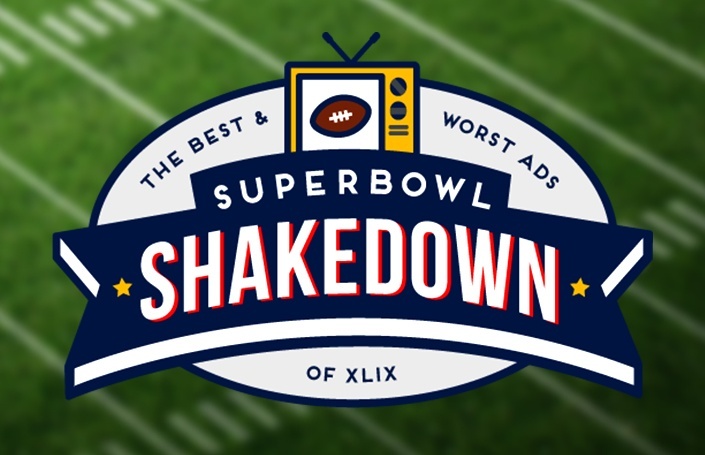 In this episode, we take a look at the winners and losers off the field as it relates to the Super Bowl commercials. 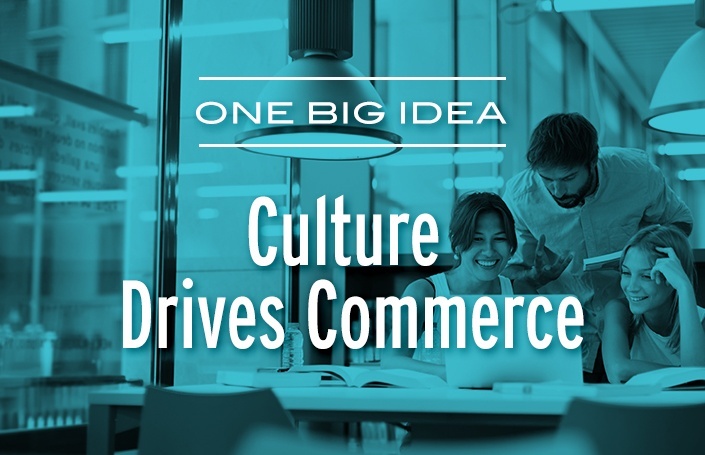 Daniel Ruble, VP Marketing at CubeSmart, lends his insight into how the brand is used to balance the functional and emotional factors that drive consumer decision-making. 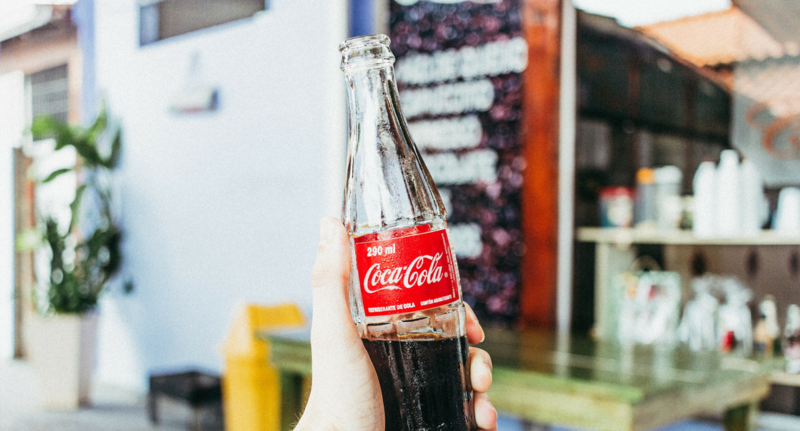 This week, we look at the recent Diet Coke expansion to illustrate when brands taking a very heavy handed, overt approach to bringing a strategy to life. This week, we host Pia Silva, a small business branding expert who shares her perspective on building a brand whether you're a solopreneur or a small team. 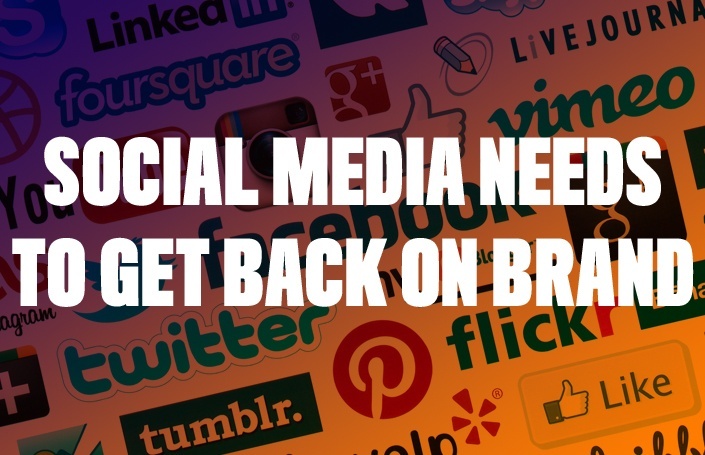 In this week's episode, we look at brands that have been tarnished by events and how and why some scandals will hurt brands more than others. 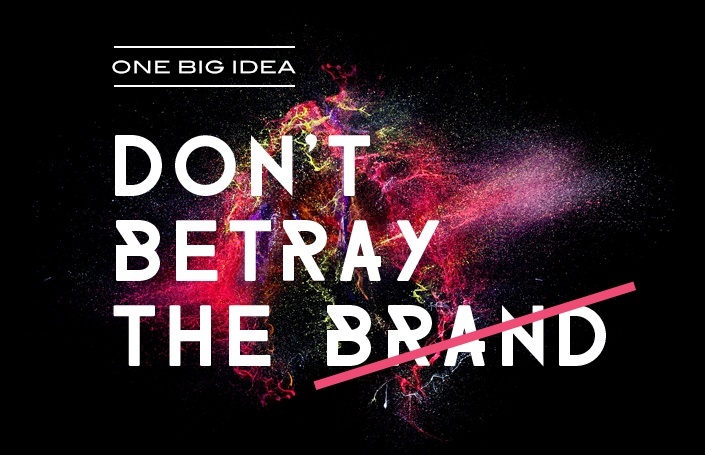 B2B branding is a unique and interesting challenge for organizations across the globe. 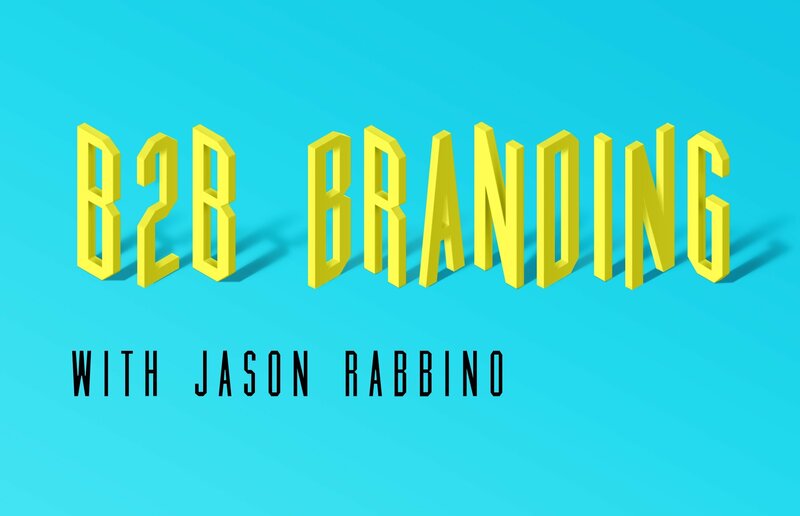 Jason Rabbino shares his insight on how to build strong B2B brands. 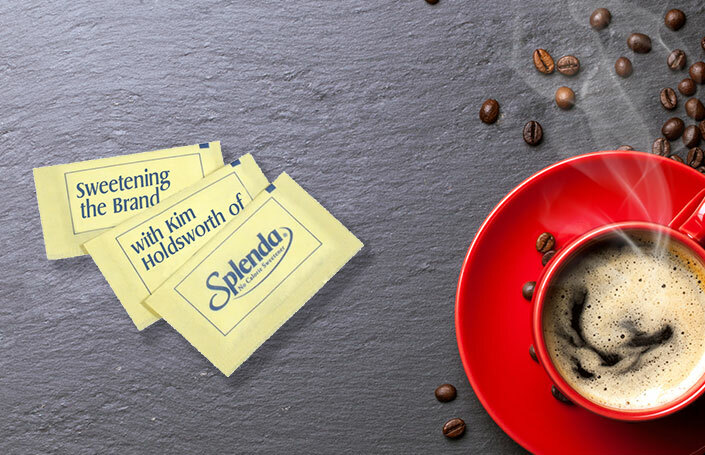 Kim Holdsworth manages global marketing for Splenda. 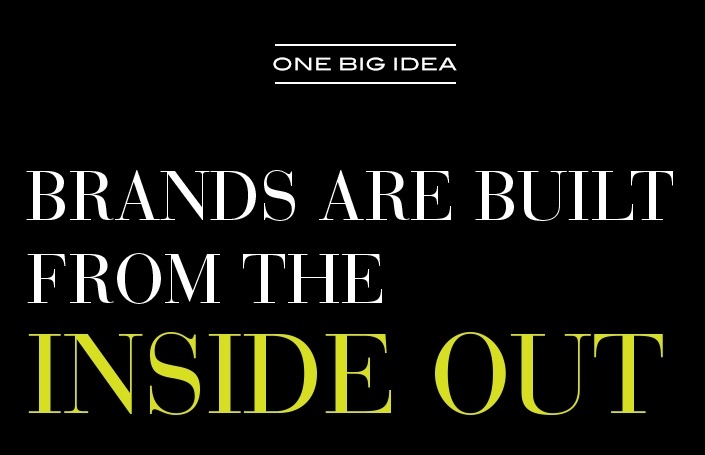 In this episode, she provides a unique perspective on what makes big brands successful. 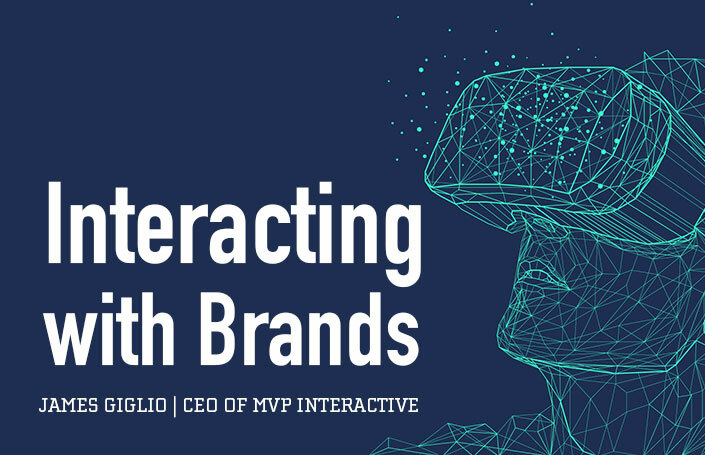 In this episode, James Giglio provides his insight into the way technology changes brand interactions and how it enables deeper connection with consumers. 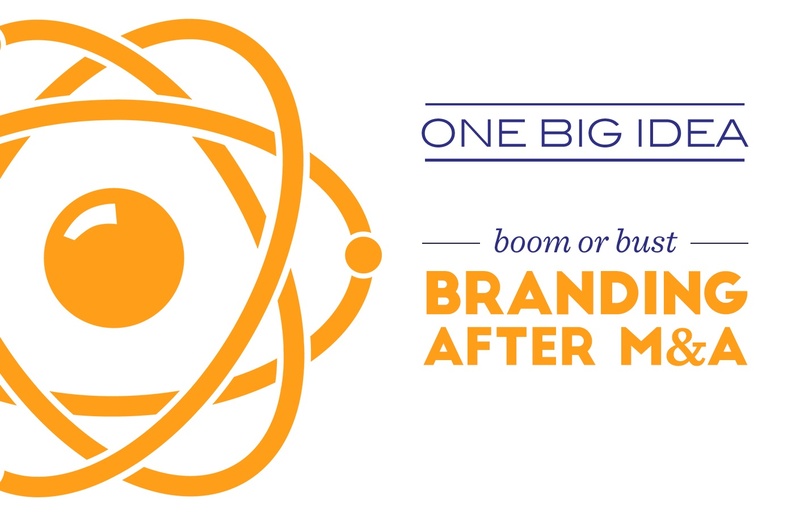 One Big Idea: How Good is Your Logo? In this episode, we review what makes a logo successful and detail the finer points of great logo design with Finch Brands' Creative Director, Jess Koffman. 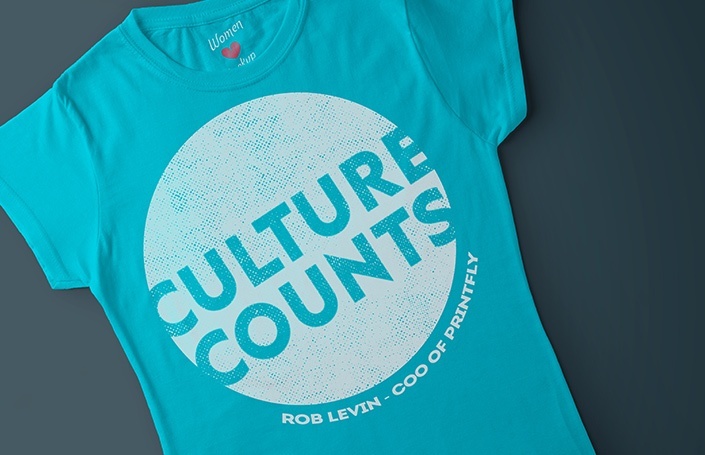 Rob Levin, COO of Printfly shares his perspectives on the role of brand and culture in sustaining and supercharging the next stage of a business. 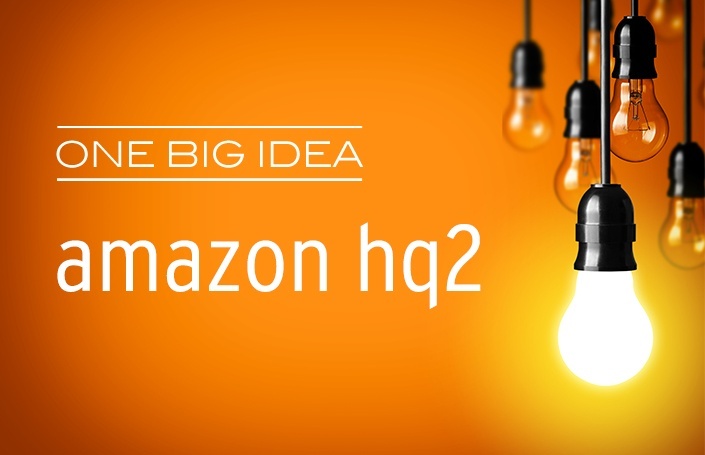 Cities across the nation have submitted bids to host Amazon's second headquarters, we look at the role that this has on the Amazon brand and it's future home. 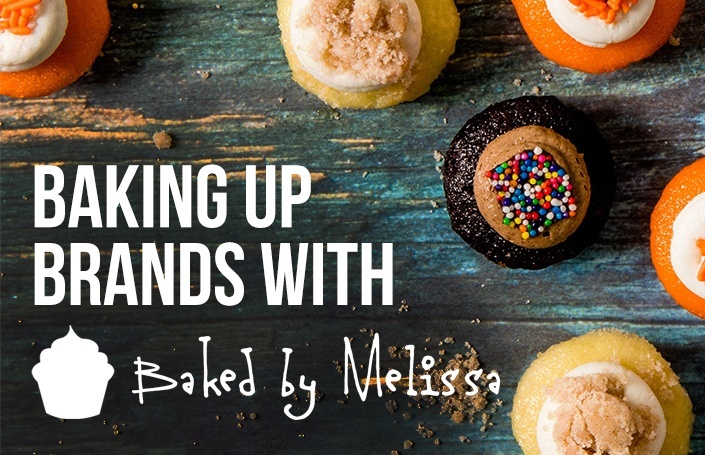 Melissa Ben-Ishay and Seth Horowitz of Baked by Melissa discuss the role of brand and culture in building strong brands that grow. 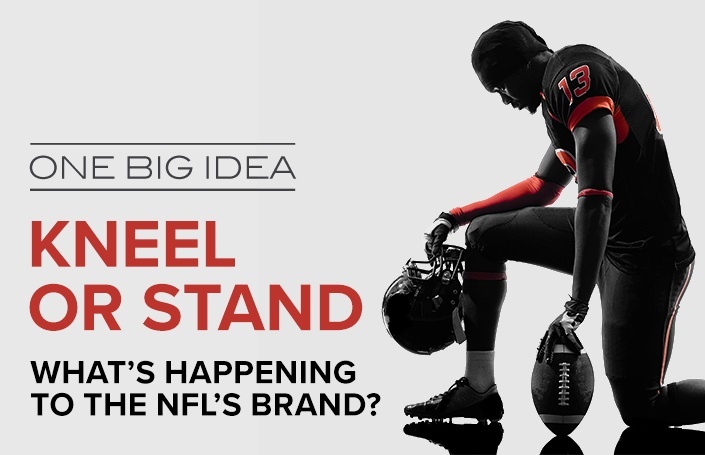 One Big Idea: Kneel or Stand - What's Happening to the NFL's Brand? 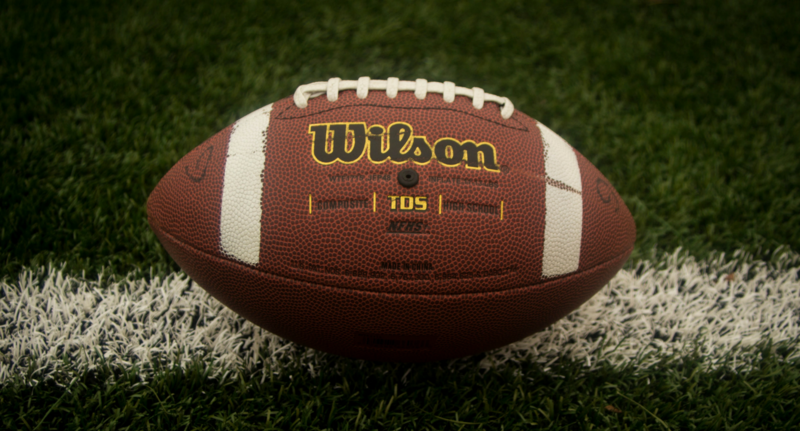 In this podcast, we take another look at the things impacting the NFL's brand and that of others in the cross hairs as the cultural divide continues to widen. 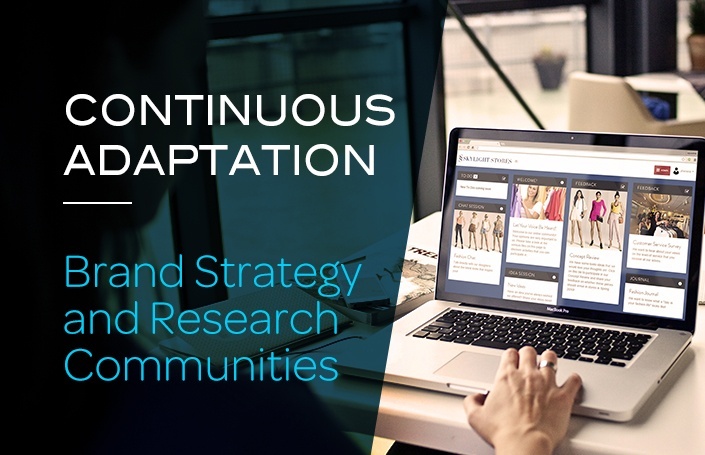 We host John Ferreira and Tom Finkle who share their perspectives on the changing pace of market research and the keys to a successful research community. 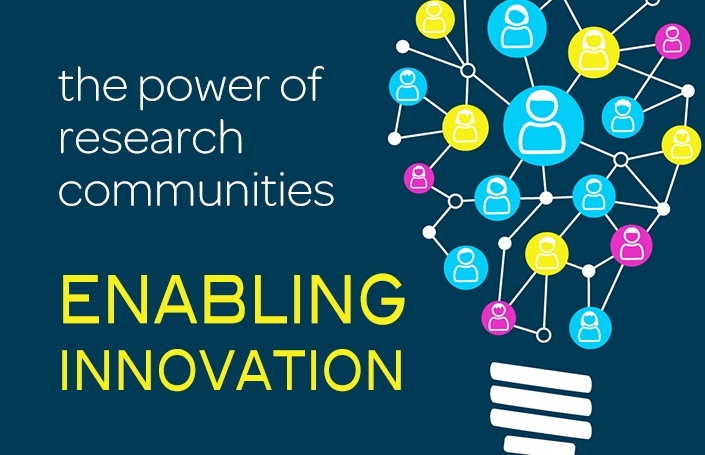 Research communities are the future as a vehicle that uses the voice of the customer to inform sales, marketing, operations, product development, and beyond. As our clients seek to build strong innovation programs, Finch Brands is often called upon to capture, manage, and filter the voice of the marketplace. 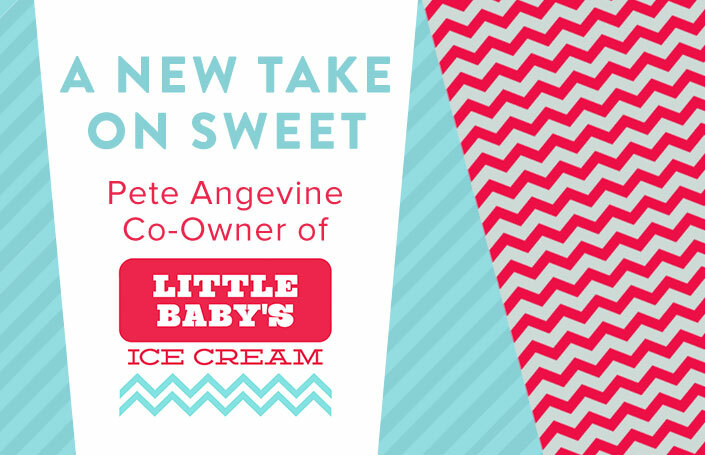 Pete Angevine, shares his journey and values-driven approach to building an entire business structure, building a brand, and connecting with the consumer. 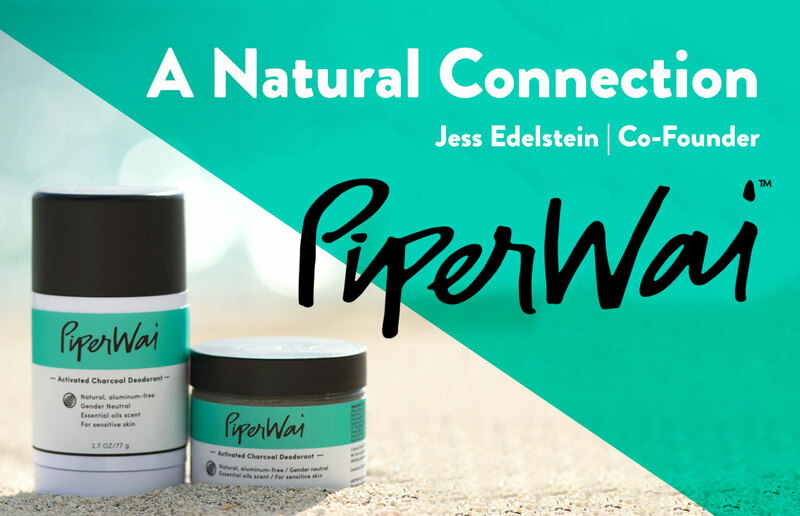 On this episode, Jess Edelstein shares her perspective on building brands around the 'natural' movement and how to look at category disruption. 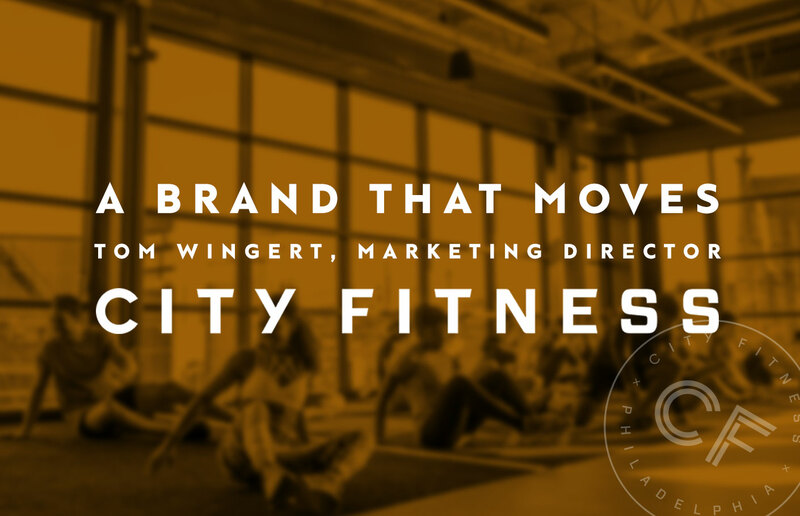 Tom Wingert, Marketing Manager of City Fitness shares how he and his team are taking a unique approach to standing out in a growing and crowded market. 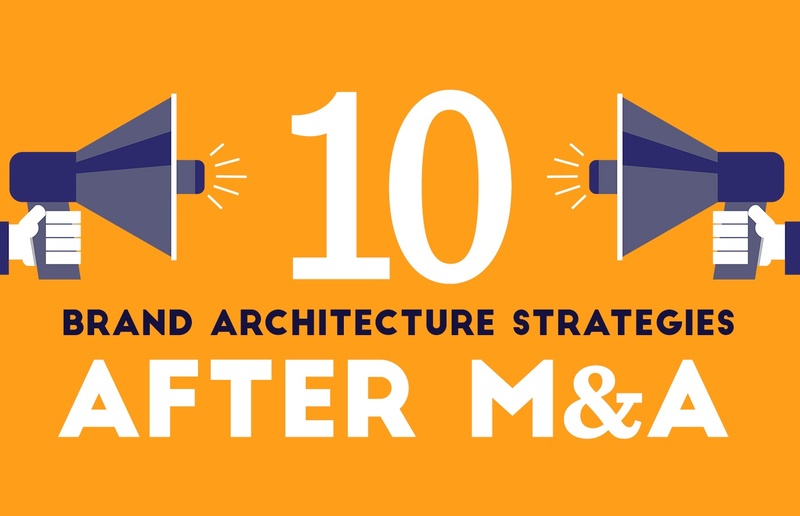 When choosing a brand architecture strategy following M&A one must consider the category, history, brand equities, and the deal thesis and objective. 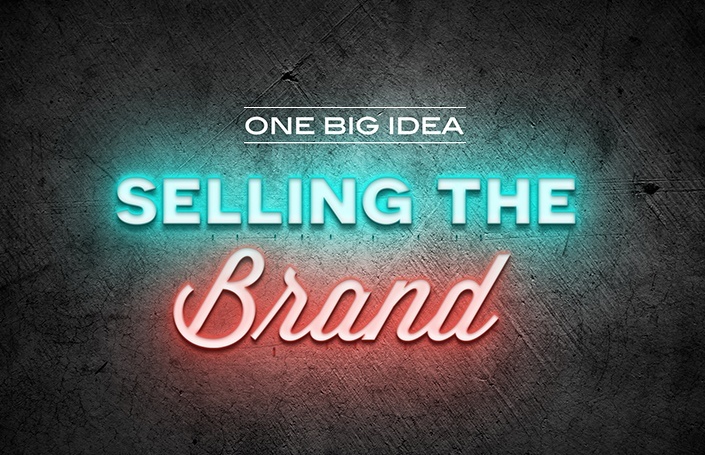 In this episode, we review the 10 prevailing approaches to brand identity after an M&A and how to decide which approach is best for your specific situation. 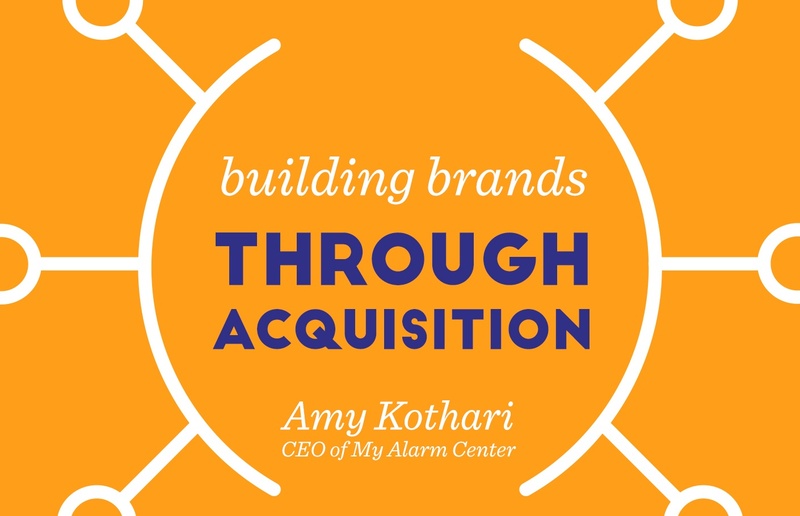 We interview Amy Kothari, CEO of My Alarm Center. My Alarm Center has grown and expanded into new markets by making strategic acquisitions throughout the years. 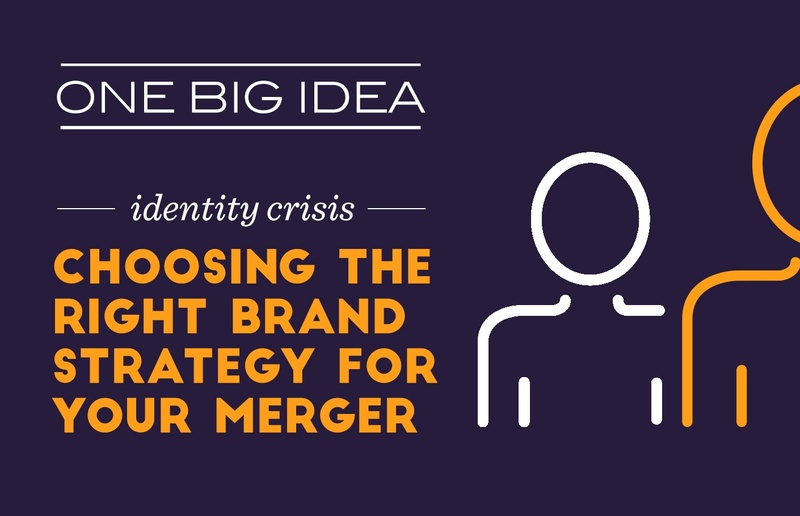 While the right approach is situational, it is important to understand the 10 prevailing brand strategy approaches following a merger or acquisition. 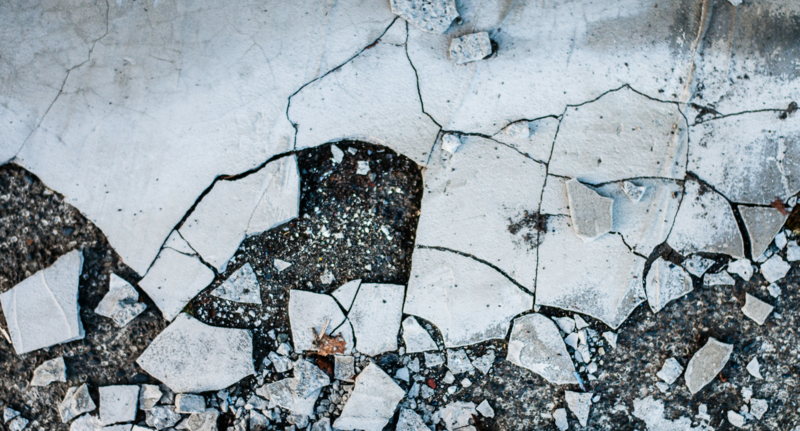 More than half of M&A situations fail to create value for organizations. 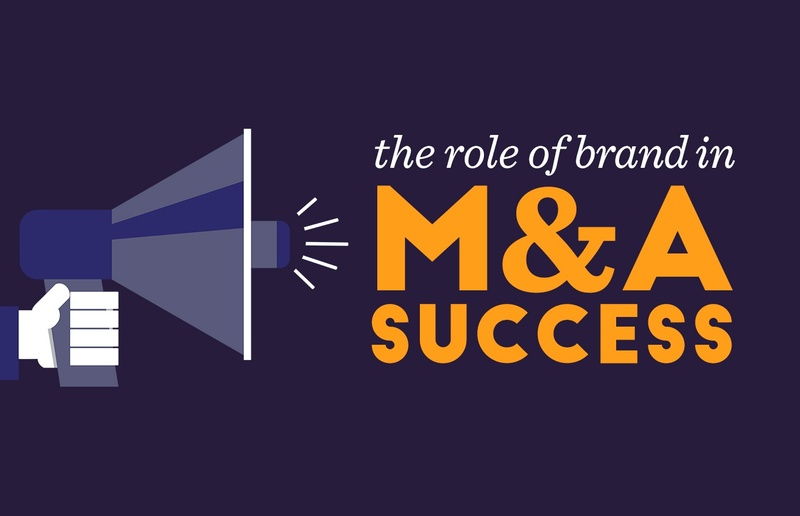 We look at the often overlooked role that brand plays in a M&A situation. 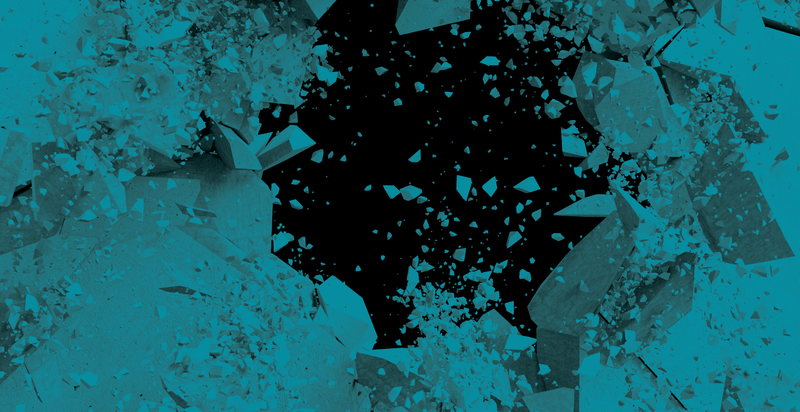 To activate the full potential of M&A, investors, executives, and integration teams must prioritize and deliberately consider the right brand architecture. 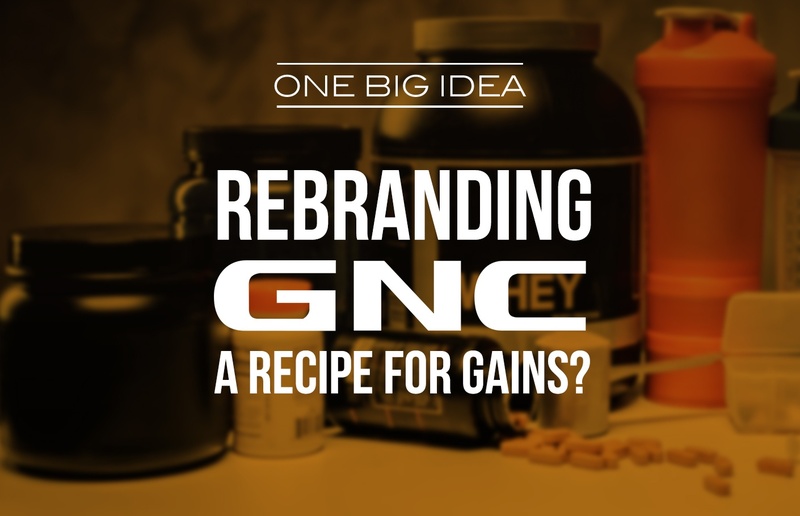 One Big Idea: Rebranding GNC, A Recipe for Gains? Reeling from struggling earnings and loss of market share, GNC announced a “One New GNC” rebranding, will it be enough to pull the brand out of its slump? 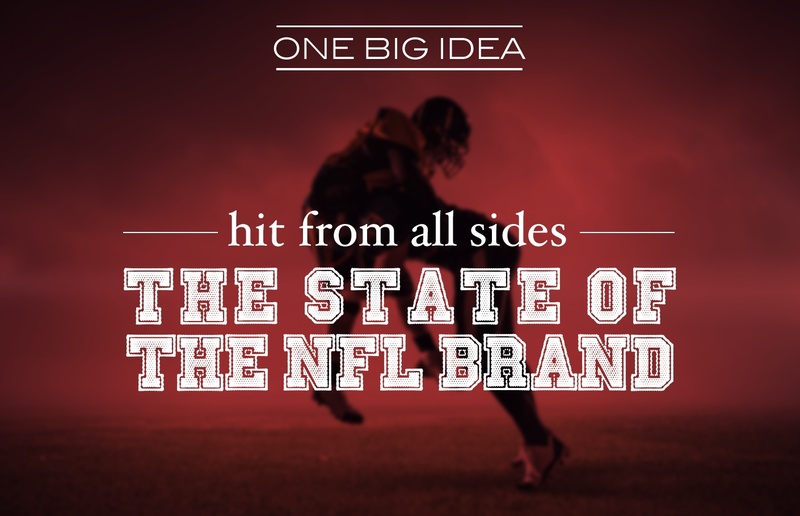 We take a look at the state of the NFL's brand and how cultural trends are shaping the future of the league. 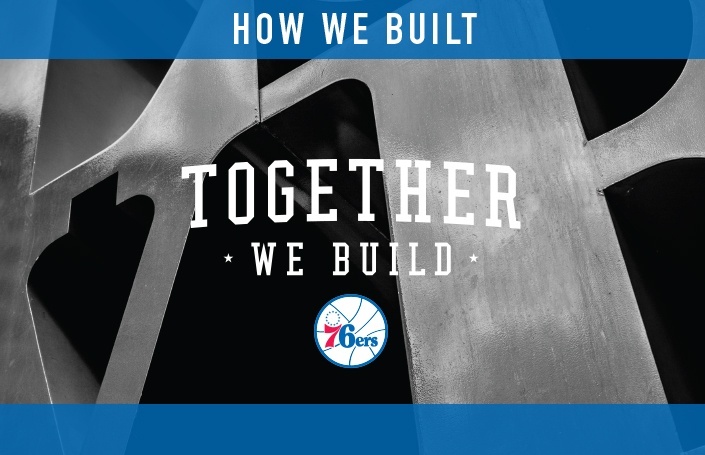 Finch Brands was engaged to develop the Sixers' Together We Build campaign, and after last night's performance, we believe this is the end of the beginning. 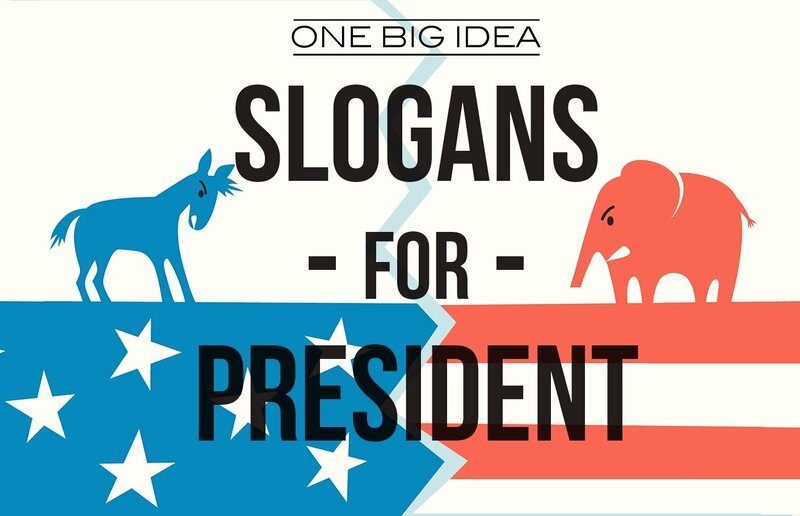 We take a nonpartisan look at branding presidential candidates and the role and effectiveness of campaign slogans across the years. 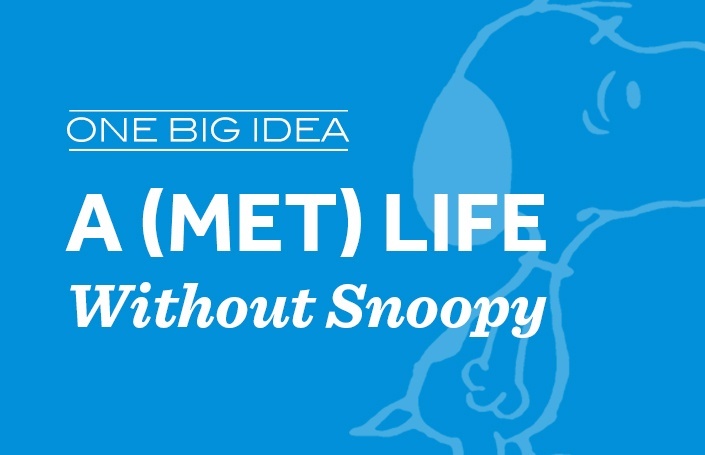 Revealing a new brand identity, MetLife has also decided to part ways with Snoopy. What does ending this iconic relationship mean for the brand? 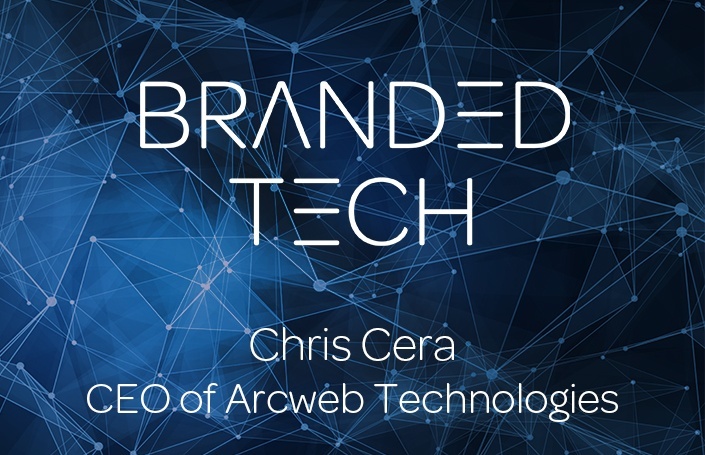 Chris Cera, Founder and CEO of Arcweb Technologies, shares his insights on the role of the brand in custom software solutions and branded tech. 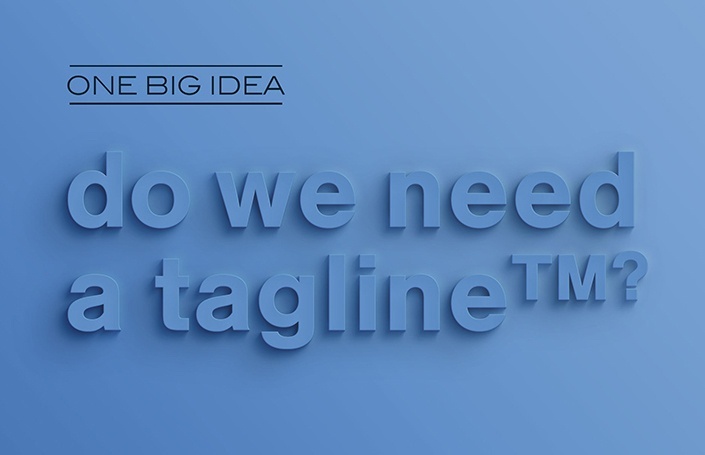 One Big Idea: Do We Need a Tagline? 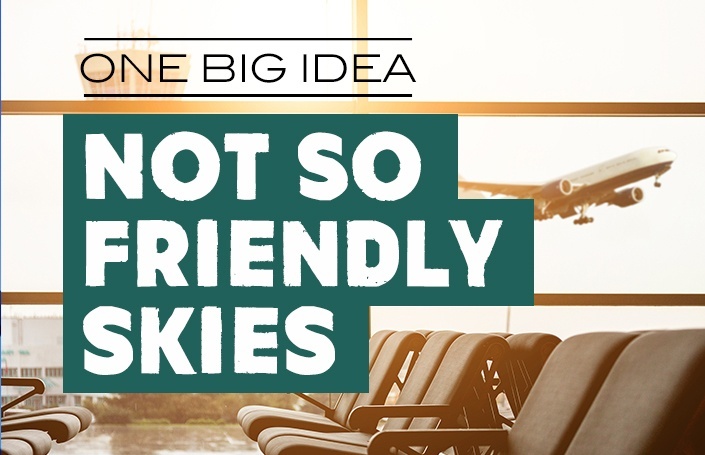 In this week's episode, Bill examines the factors that are critical to deciding whether or not a tagline is appropriate for a brand. 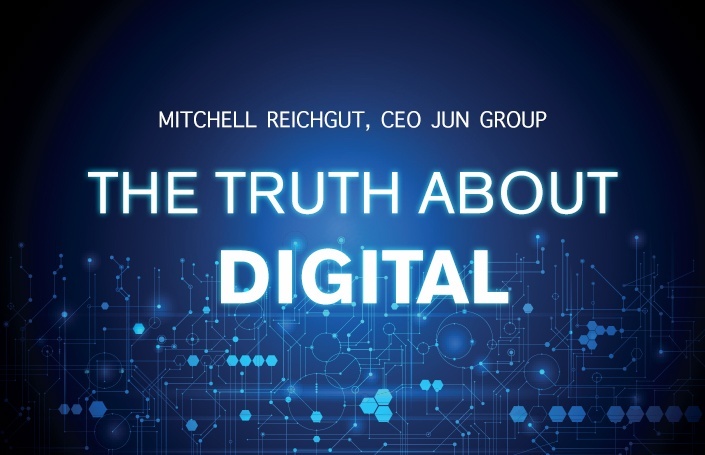 Mitchell Reichgut, CEO of Jun Group, explains how advancements in mobile and digital media are transforming the way brands communicate with consumers. 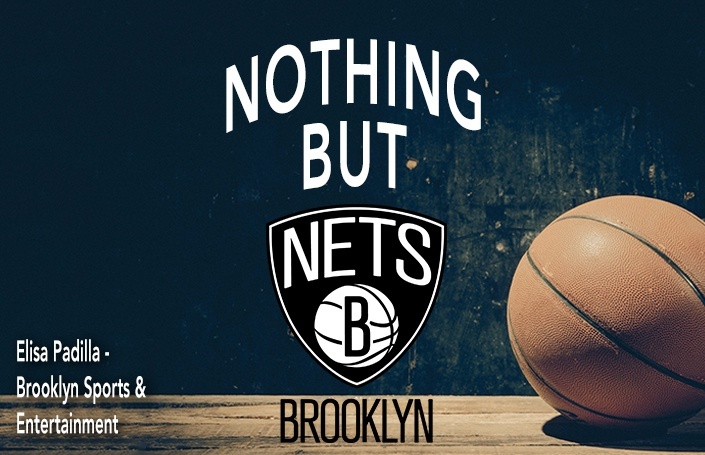 We host Elisa Padilla, an accomplished sports marketer, who walks us through the intricacies of the Brooklyn Nets' rebranding process as the team moved. In this week’s episode, we use Starbucks’ recent change in uniform policy to consider the role of visual consistency in brand personality. 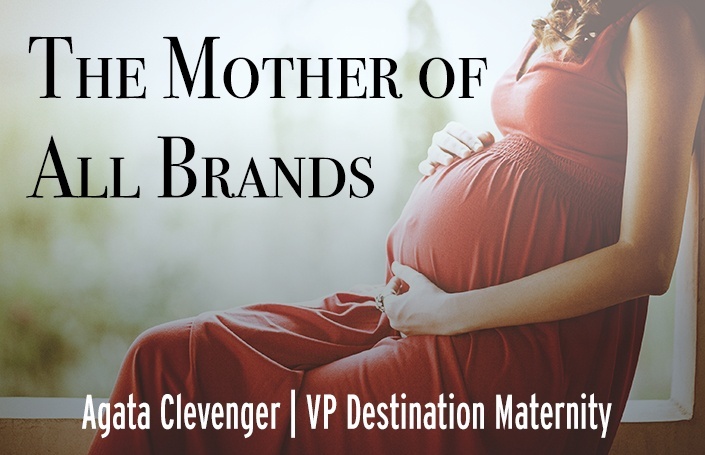 We host Agata Clevenger of Destination Maternity. 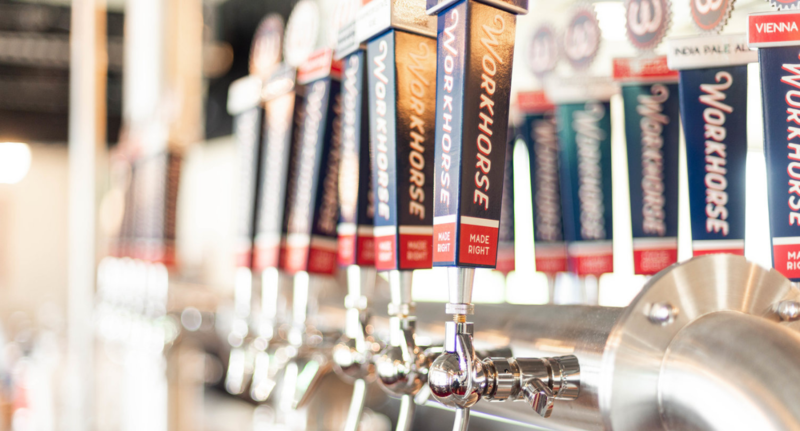 We take a look at how branding helps companies succeed in fixed categories with short consumption cycles. 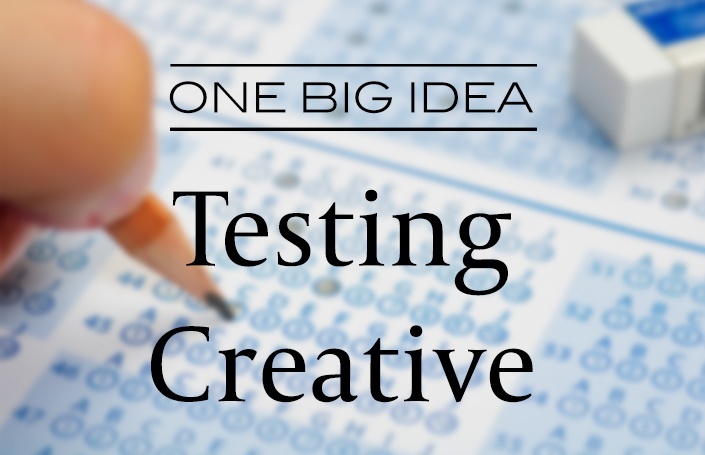 Bill details the role of target market feedback in developing creative brand elements, with a focus on when and how to test creative designs with consumers. 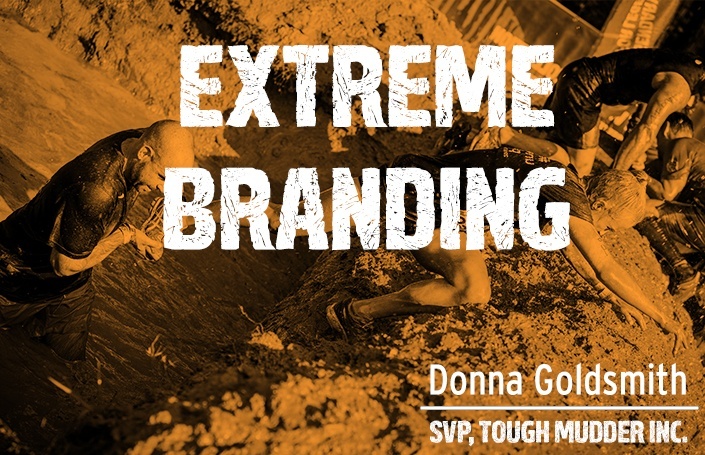 Extreme Branding: Donna Goldsmith - SVP of Tough Mudder Inc. In this episode, we examine the role of licensing and consumer products in brand growth with Donna Goldsmith, SVP at Tough Mudder. 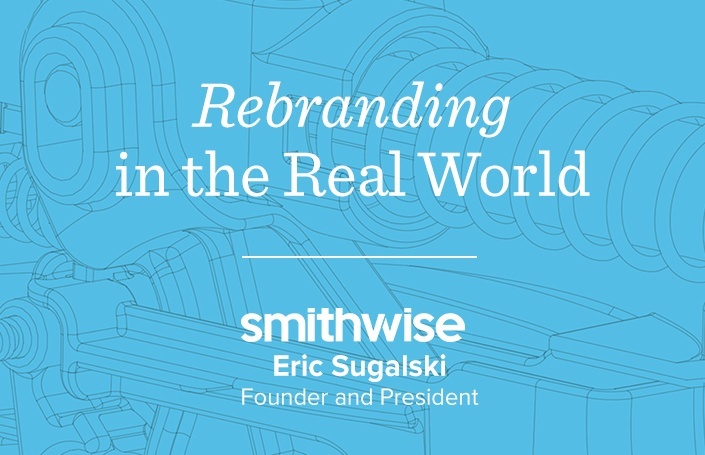 Eric Sugalski speaks about the recent rebranding process of his company, Smithwise, and examine the nuances of rebranding in practice. 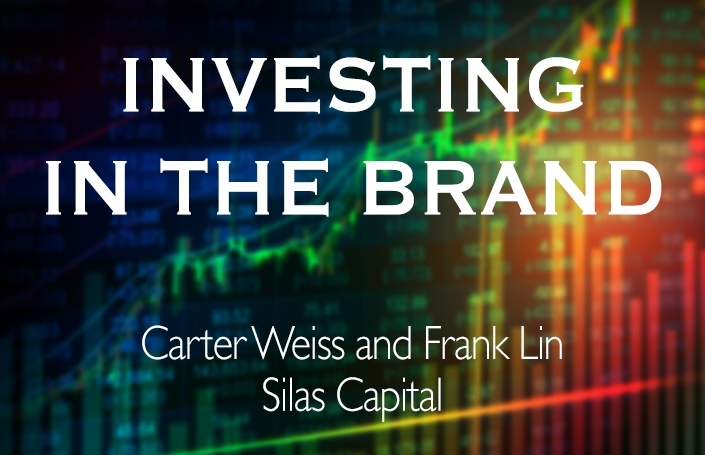 Carter Weiss and Frank Lin of Silas Capital explain how they leverage strong brands and storytelling to grow the businesses in which they invest. 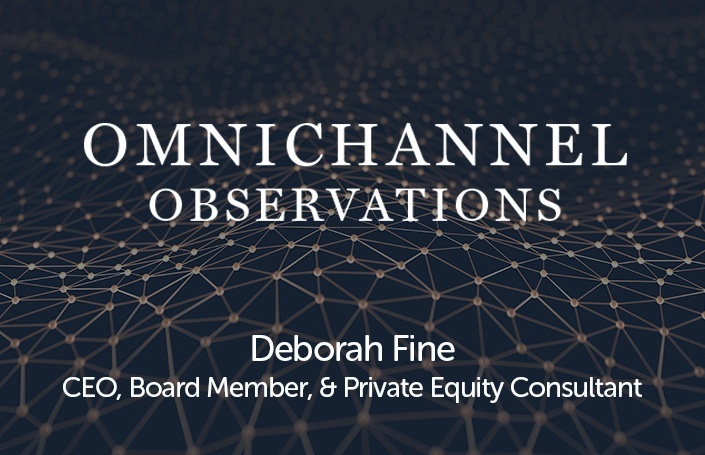 Deborah Fine, who's managed brand-first organizations including PINK and Avon, looks at how omnichannel marketing is changing. In this Bonus episode, Bill reflects on the life and legacy of the late Muhammad Ali through a brand and marketing lens. 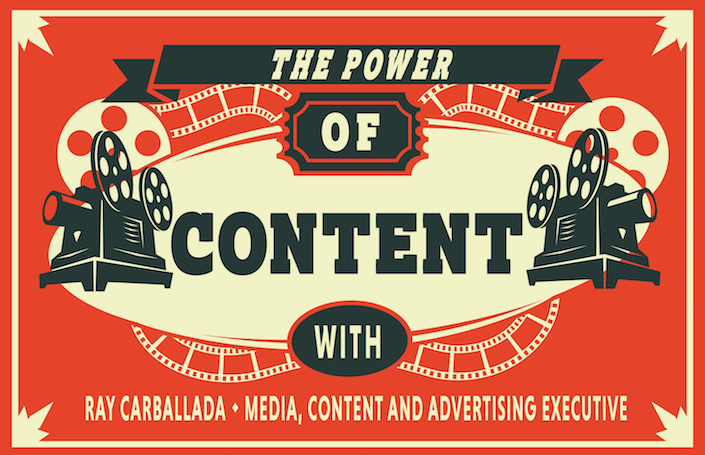 Ray Carballada shares the ways that content is shaping how brands communicate and shares insight into what the future of content may look like. 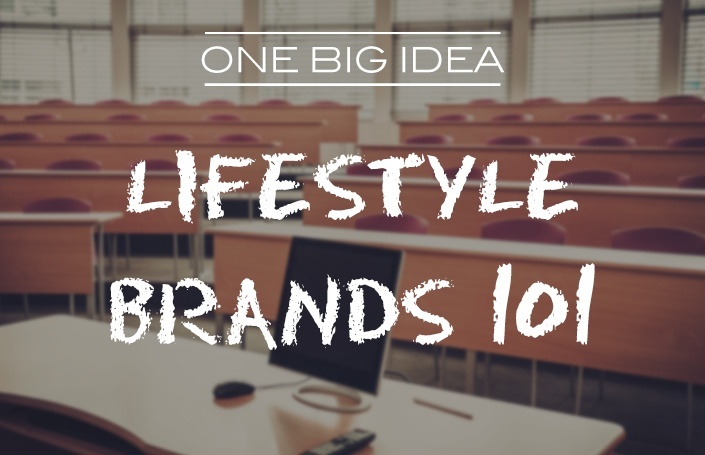 Bill examines the two critical components of what it takes to be a true lifestyle brand and looks at classic examples of lifestyle brands across categories. 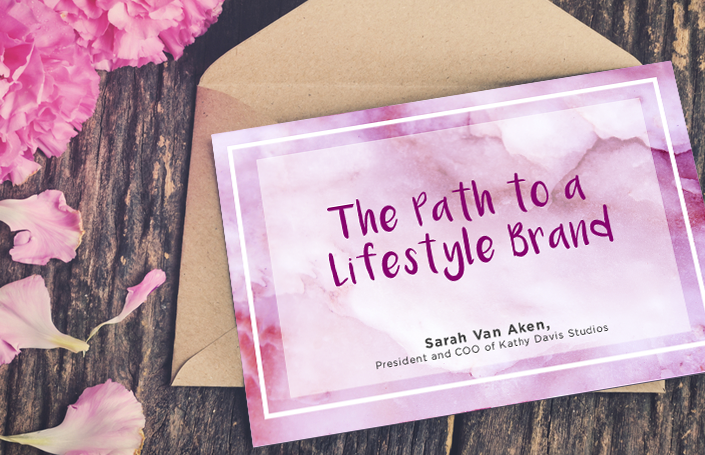 Sarah Van Aken shares her experience across industries to explain how companies move beyond the product to become a lifestyle brand. In this week’s episode, Bill discusses the benefit of having a sales background in one’s career as preparation for our industry and beyond. 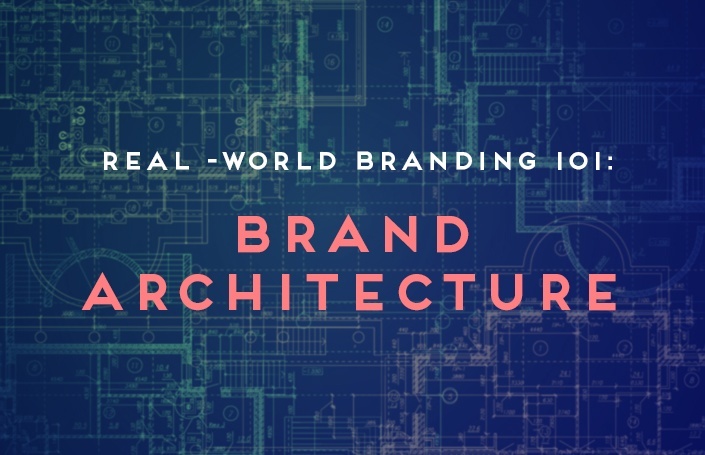 Bill shares his professional background, explains key trends he sees shaping branding today, and explains what it means to be a real-world branding agency. 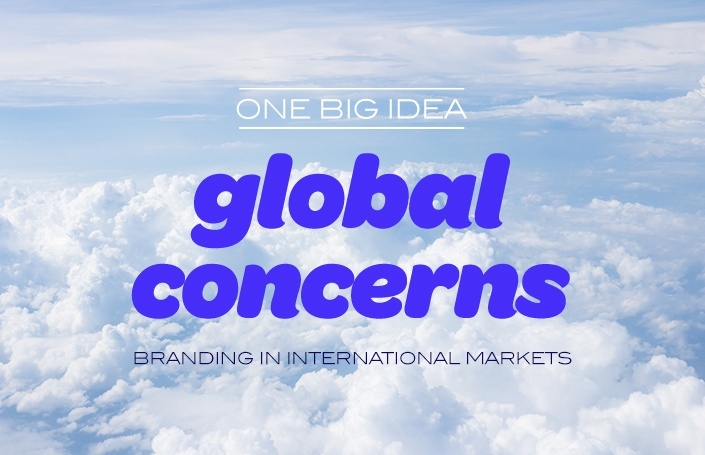 Bill takes a look at global brand strategies to emphasize what one must consider as brands expand into global markets. 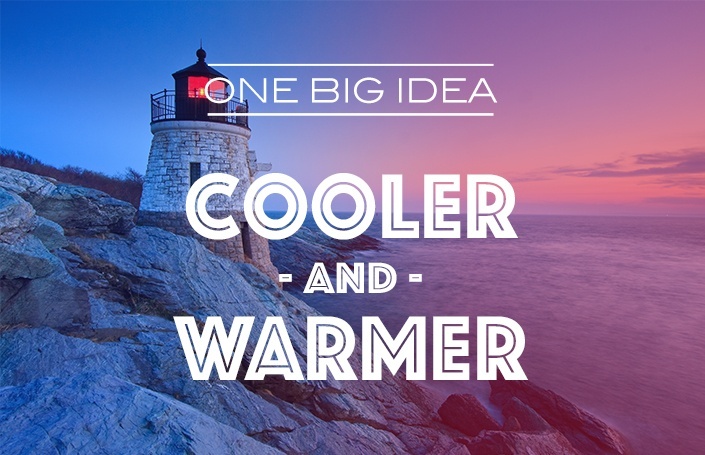 Rhode Island’s recent branding campaign has caused an uproar on social media and beyond. Bill discusses the perils of separating the strategy and creative. 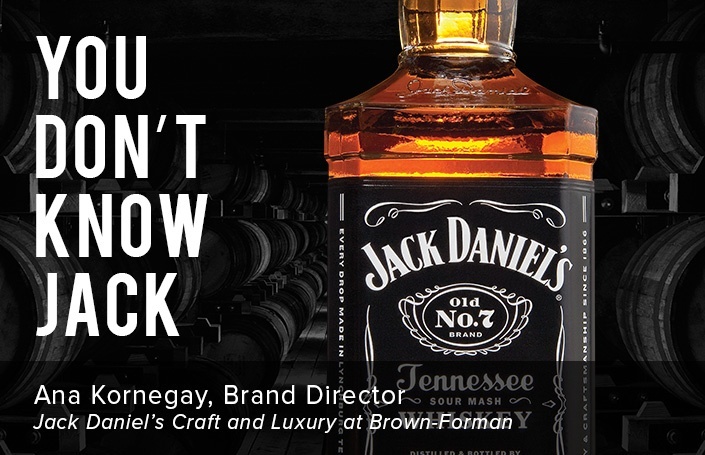 Ana Kornegay, Brand Director of Jack Daniel's Craft and Luxury, details what it takes to balance and grow an iconic brand in an ever-changing market. 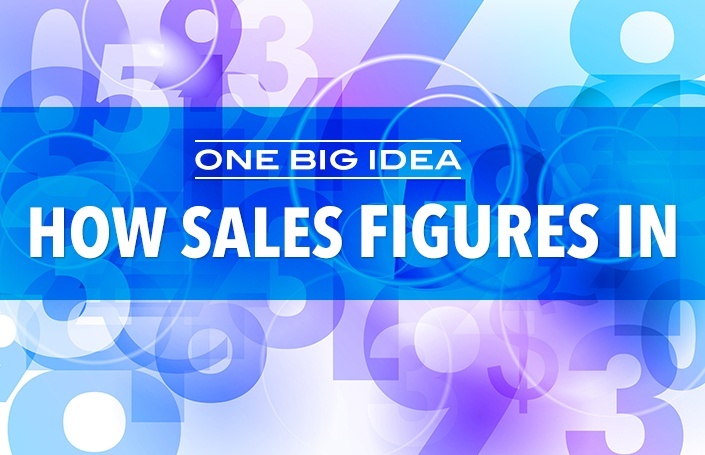 In this week’s episode, Bill discusses the complementary role and value of brand marketing as a companion to sales efforts. 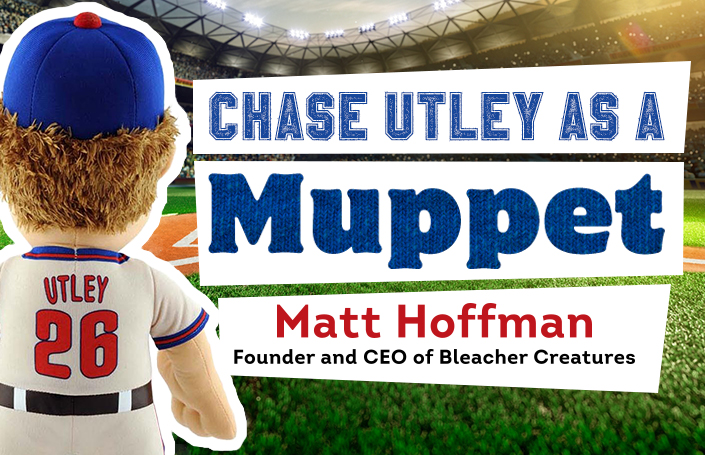 Matt Hoffman, Founder and CEO of Bleacher Creatures. Ripe with insights and advice, Matt’s entrepreneur journey is exciting, educational, and entertaining. 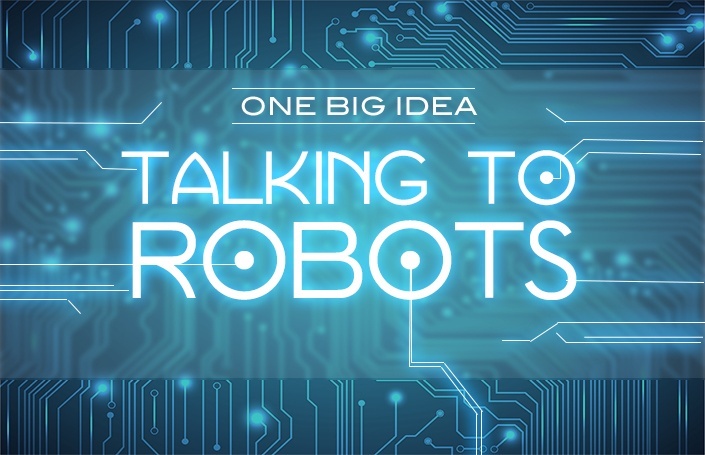 One Big Idea - Time to Rebrand? 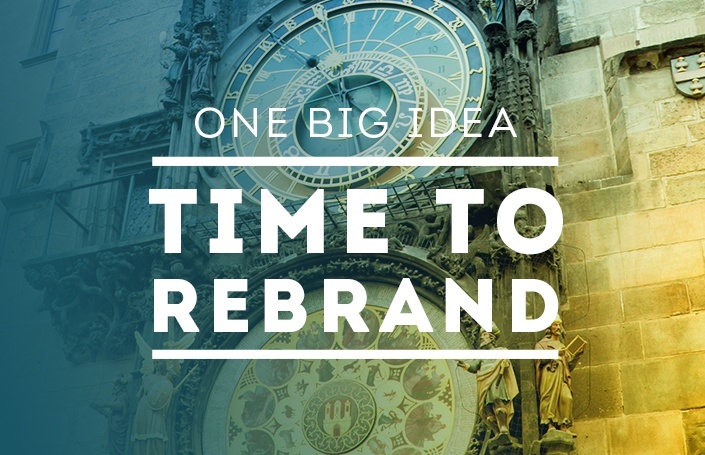 Bill examines the differences between a brand refresh and a rebranding, as well as the reasons why a rebrand may or may not be right for an organization. 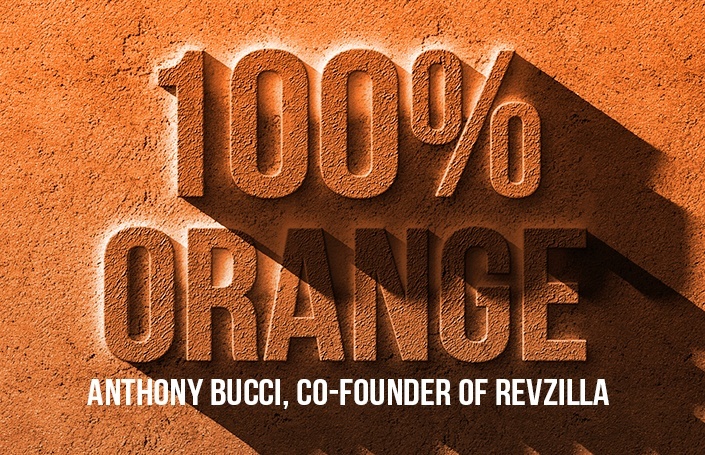 Anthony Bucci, Co-Founder and CEO of RevZilla, shares his fascinating and inspiring journey from enthusiast to successful e-commerce brand builder. 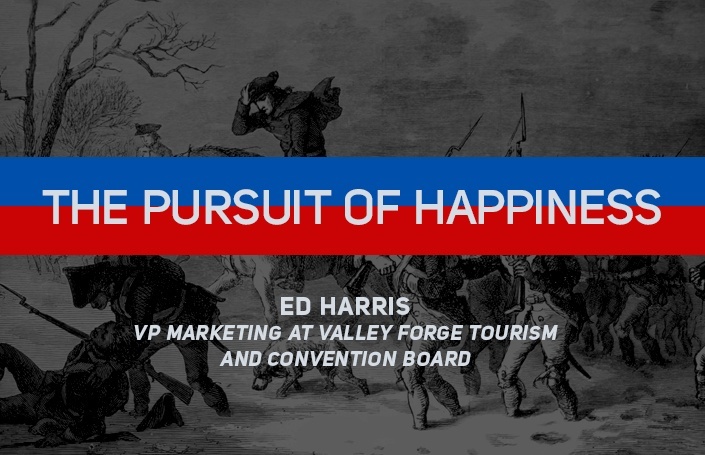 Ed Harris shares his insight into the parallels in branding across the for profit and non-profits space and the role of storytelling in elevating a brand. 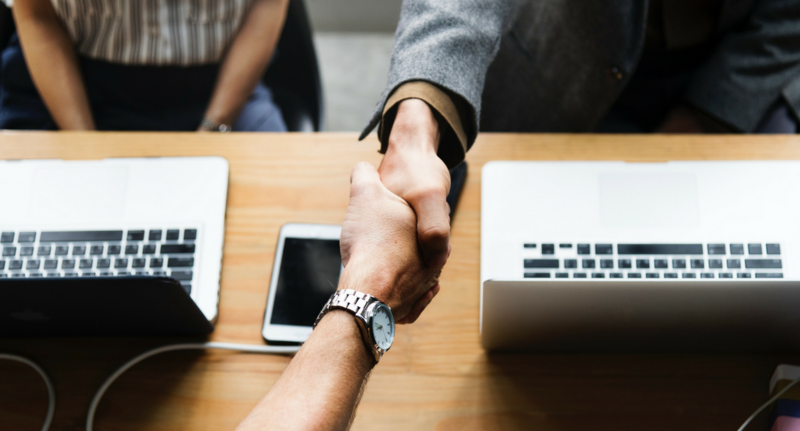 Bill looks at Mergers and Acquisitions (M&A) branding strategies and details the process for determining the best path for specific scenarios. 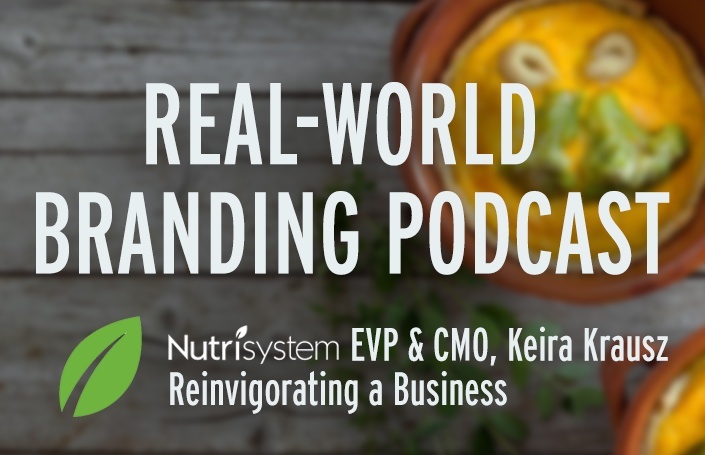 In this episode, Keira Krausz, CMO of Nutrisystem, walks us through the twists and turns of her career and the story behind the brand's success. Everyone has a particular place that is 'their' beach town, but how do places separated by mere miles stand apart so drastically in the minds of consumers? 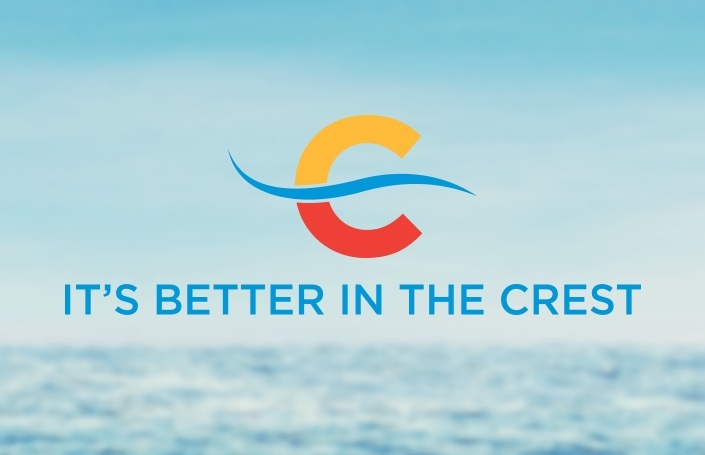 A case study of the rebranding of the borough of Wildwood Crest. 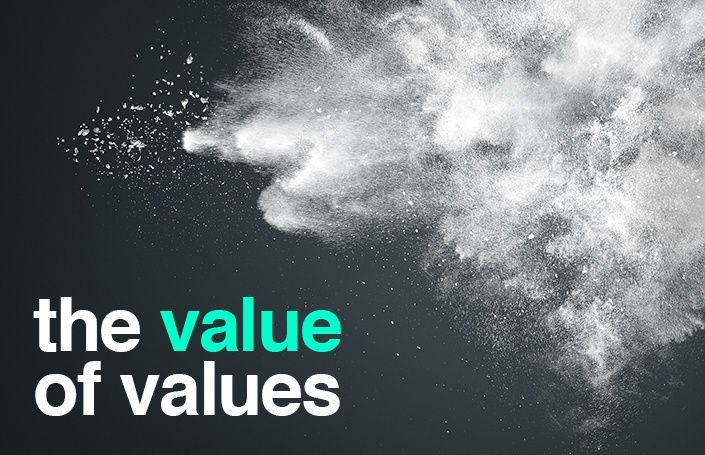 Bill examines how to properly develop core values that help steer an organization as well as the benefit to defining and embracing a set of brand beliefs. 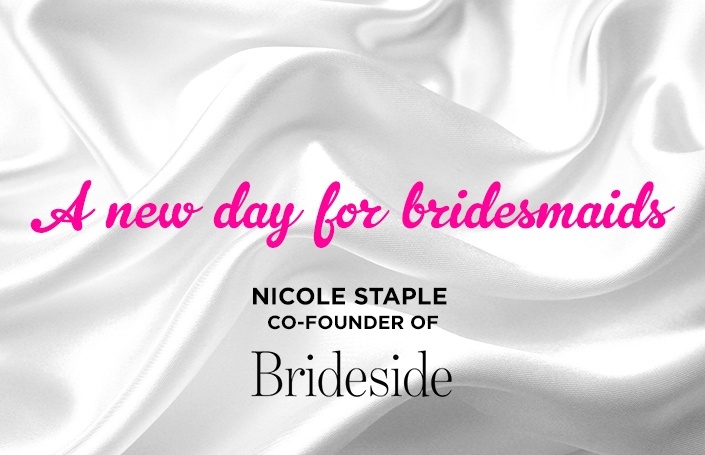 Nicole Staple of Brideside, shares insight into the how optimizing the customer journey has helped her company provide a better experience for bridesmaids. As the year comes to a close, like many others we take some time to reflect on the first (almost) year of our podcast. 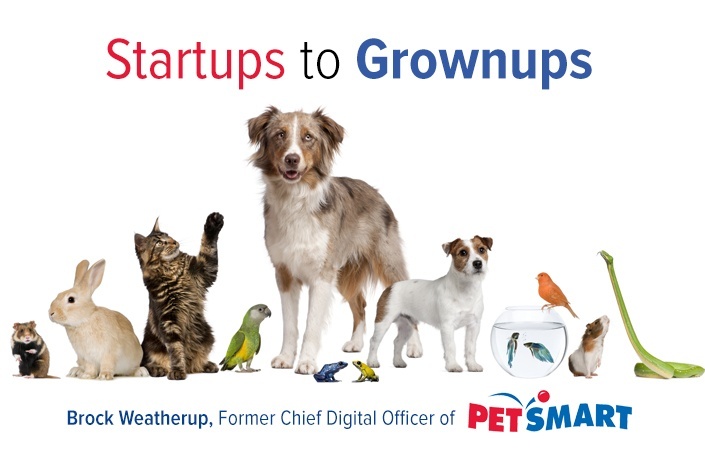 Brock Weatherup shares insights into taking startups to grown-ups, developed over years in businesses including Pet360, Fathead, PetsSmart, and others. Bill explains the role of brand in early stage organizations and how early thinking about brand helps prepare companies for success. 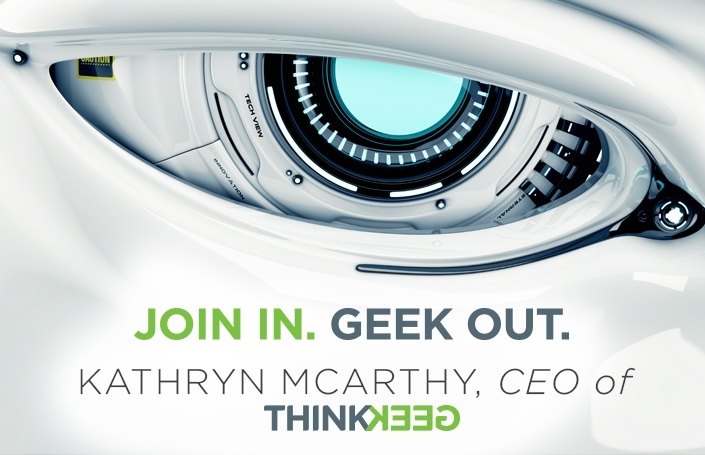 Katy McCarthy, CEO of ThinkGeek, shares her insight on balancing growth with authenticity and the impact of ThinkGeek's acquisition by GameStop. 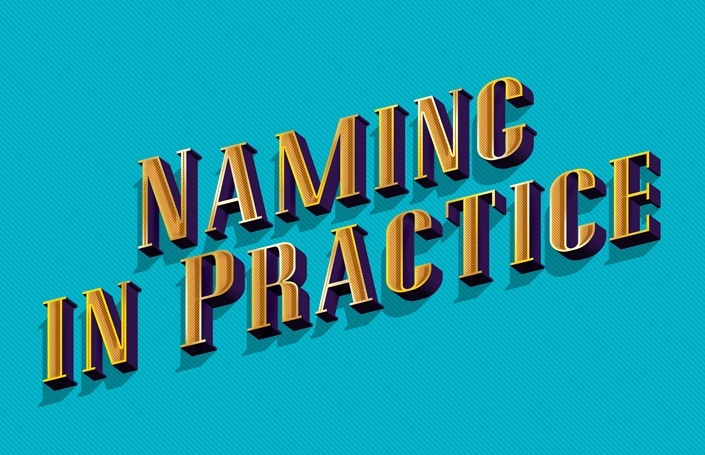 Bill explores the naming process and provides guidance on effective ways to structure ideation and selection. Scott O’Neil, CEO of the Philadelphia 76ers and New Jersey Devils shares his unique perspective on life, business, and branding in this podcast. 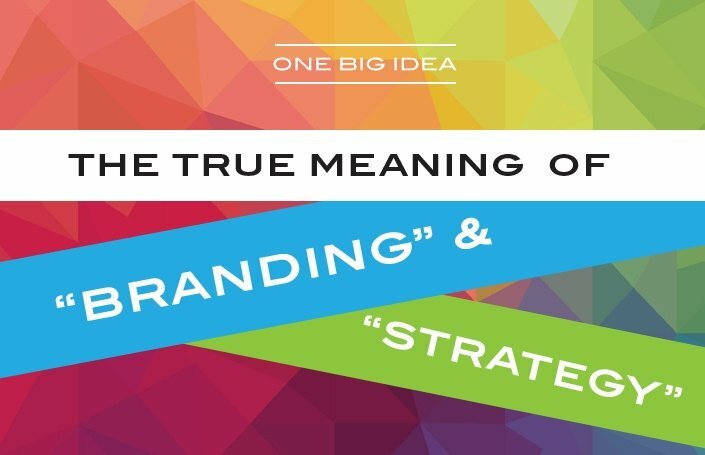 Bill explores the increased non-profit interest in branding and provides insight into the challenges and opportunities these unique organizations face. 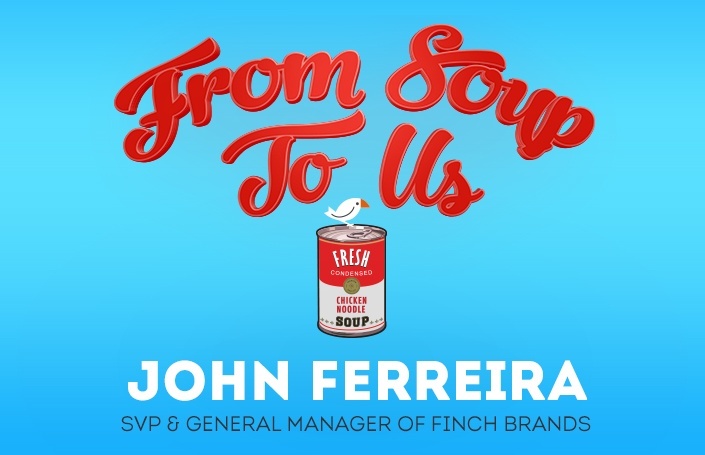 With over a decade of experience at Campbell Soup, John has a unique perspective on the consumer’s role in shaping brand strategy and progressing companies. 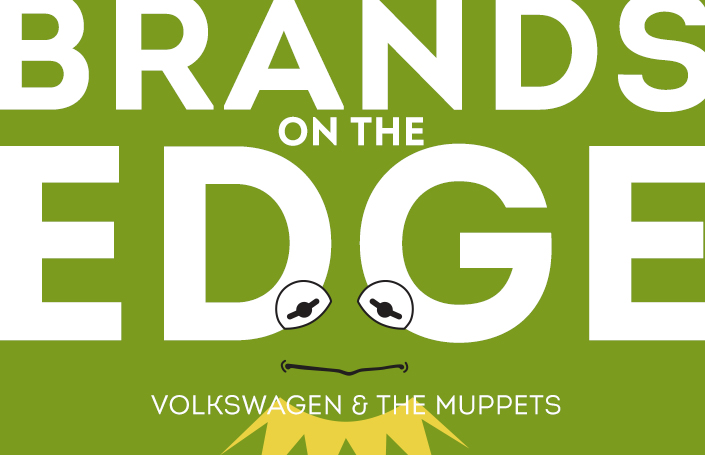 Two deeply cherished brands find themselves in serious trouble – both Volkswagen and The Muppets are guilty of letting loyalists down in a big way. In this episode, Bill demonstrates the value of a brand and the true cost of brand betrayal in the short and long term. 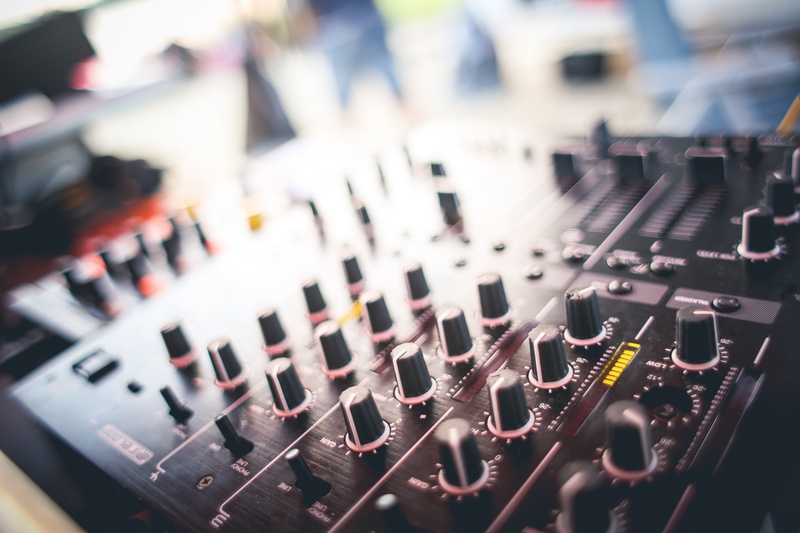 In this episode, Matt Hoffman of Bleacher Creatures details the twists and turns that have taken him from playing in a band to launching a successful brand. 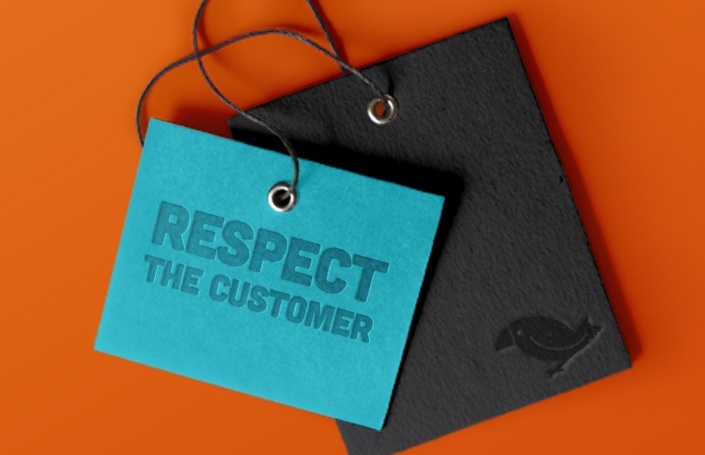 Bill discusses the right moments to seek the voice of the customer with market research — when consumer insights are most valuable to an organization. 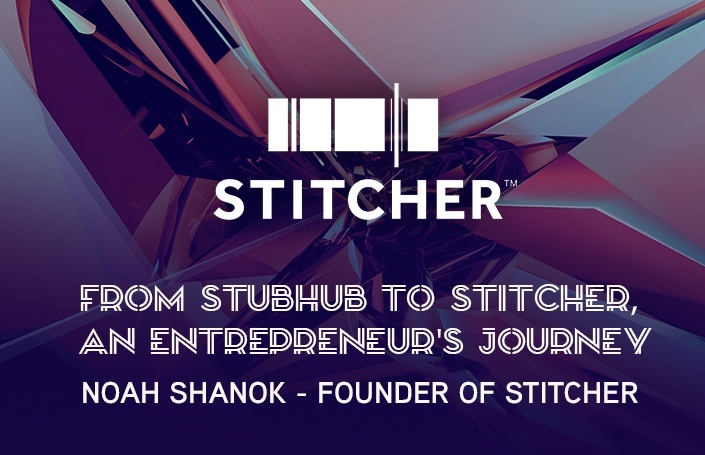 Noah Shanok, founder of Stitcher and one of the original members of the StubHub team, shares his captivating journey from trader to entrepreneur. We are proud to announce the promotion of John Ferreira to the position of SVP/GM. 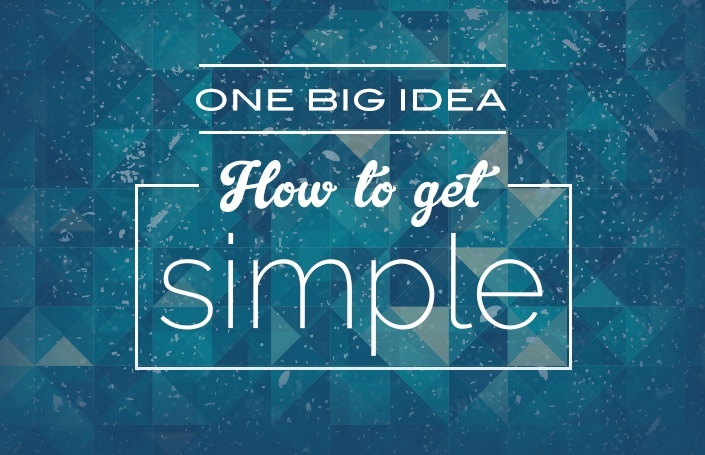 Bill discusses how brands can simplify their message and harness a core idea to differentiate and deliver effective, meaningful communications. 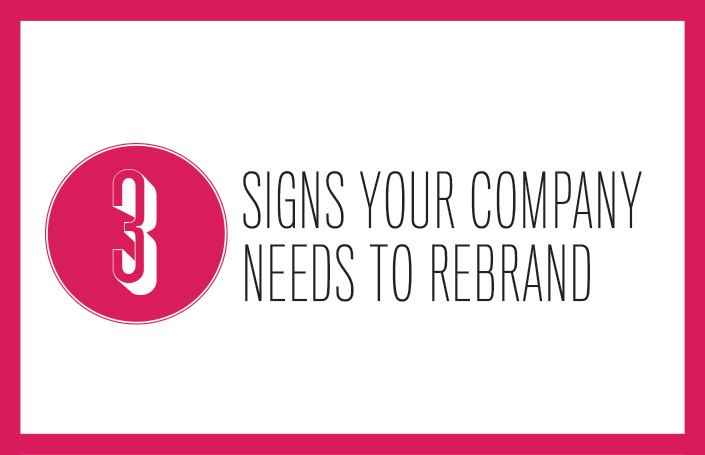 What is it like to manage the Snoopy brand? To be at DoubleClick in the early days? 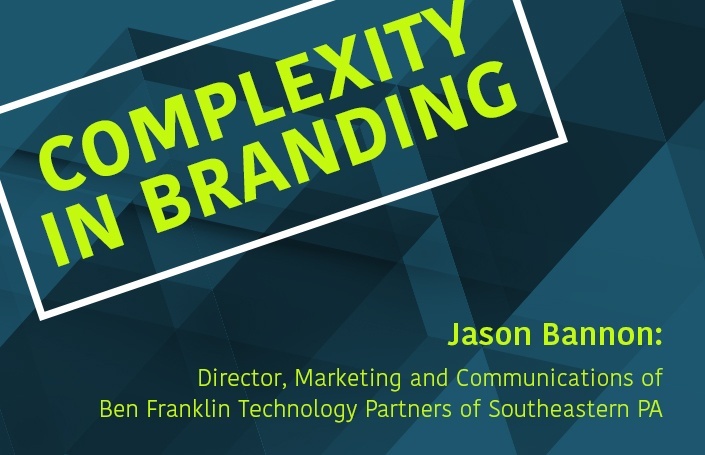 Jason Bannon answers these questions in our latest episode. 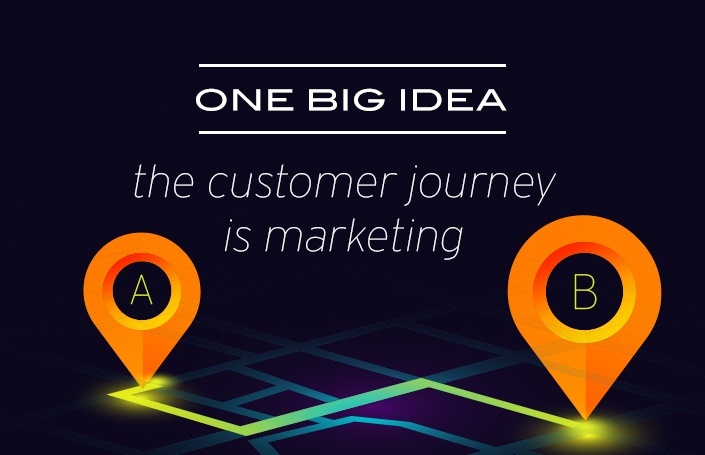 Bill discusses why the customer journey is essential to fostering brand advocacy and also why some corporate structures and/or attitudes hold brands back. Anthony shares with us his fascinating and inspiring journey from motorcycle enthusiast to immensely successful business leader and brand builder. 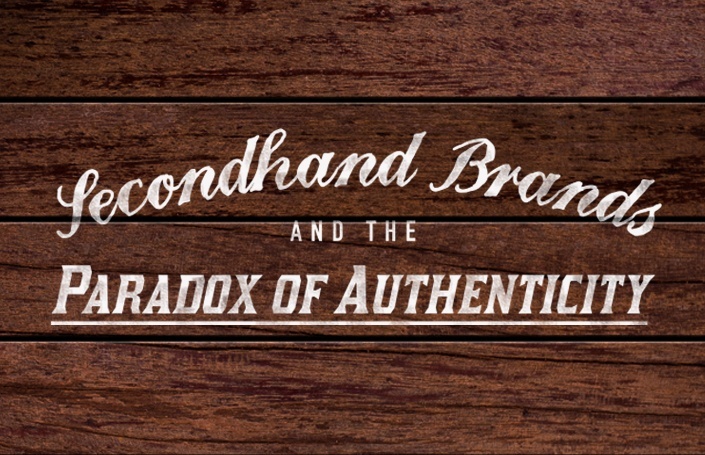 In this episode, Bill examines how respect builds brand authenticity, shapes brand strategy, and delivers results in the real world. 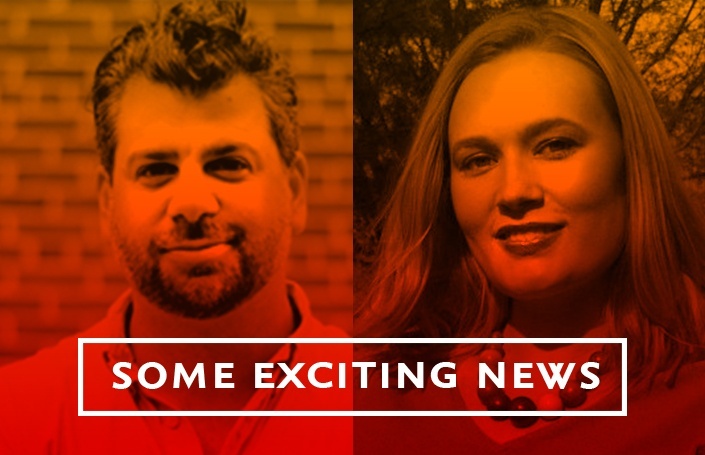 The purpose of this post is to share news of exciting changes on the creative side of our business. 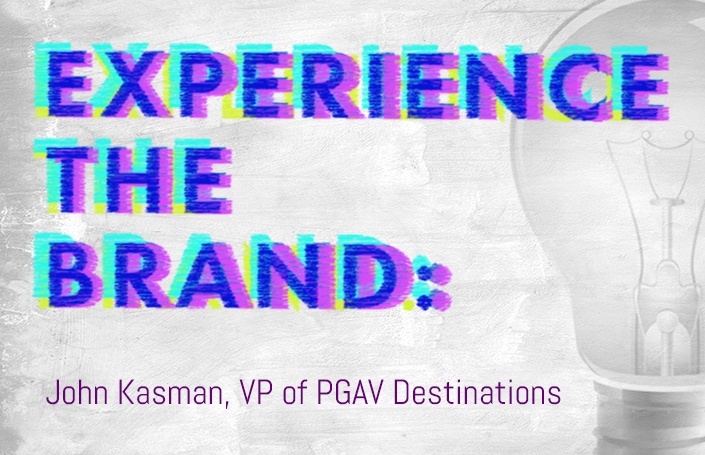 Jordan Goldenberg shares his unique insight in supporting brand strategy and delivering real-world results through creative execution. 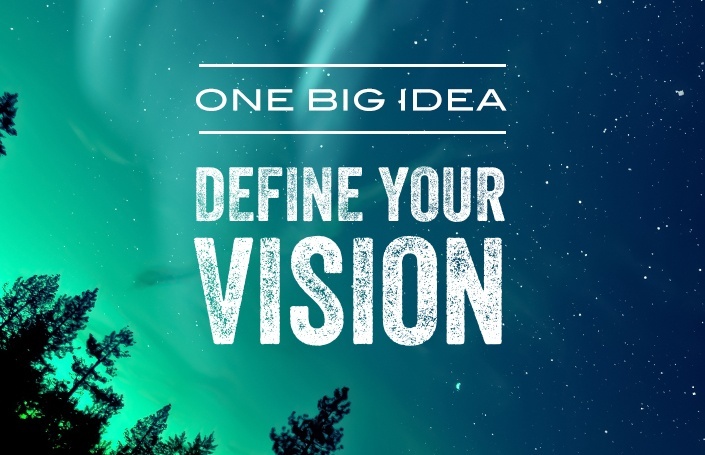 In this episode, Bill details the core components of a strong vision statement and demonstrates the value of vision in long-term brand building. 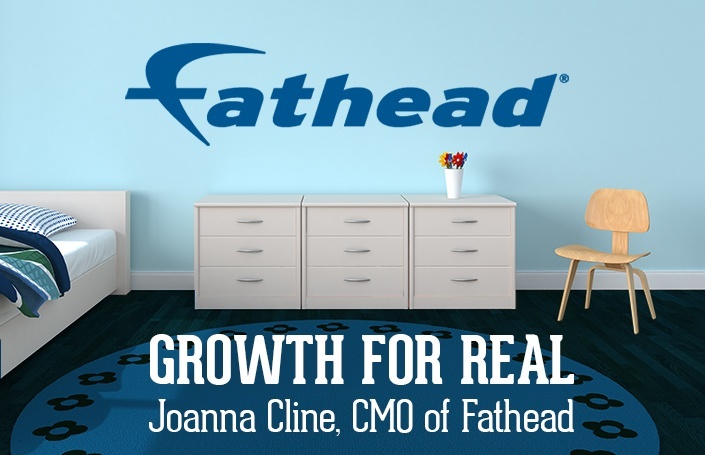 Joanna Cline, CMO of Fathead, shares an insider perspective on the company’s growth, future, and her own journey to the C-suite. 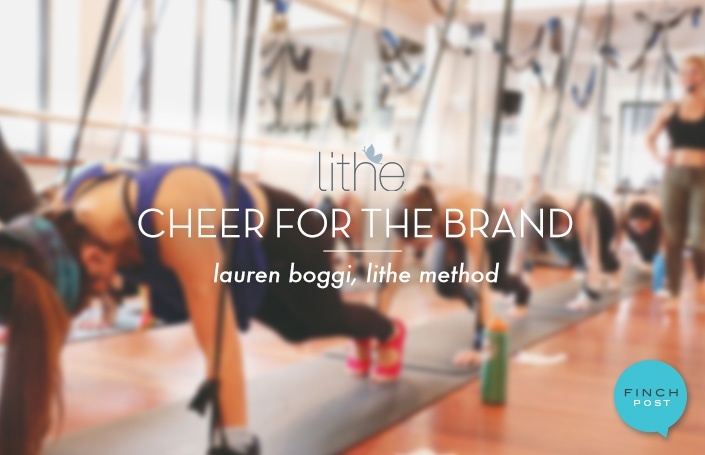 Lauren Boggi, Founder and CEO of Lithe Method, shares her fascinating personal story — from unfortunate injury through building the Lithe business and brand. 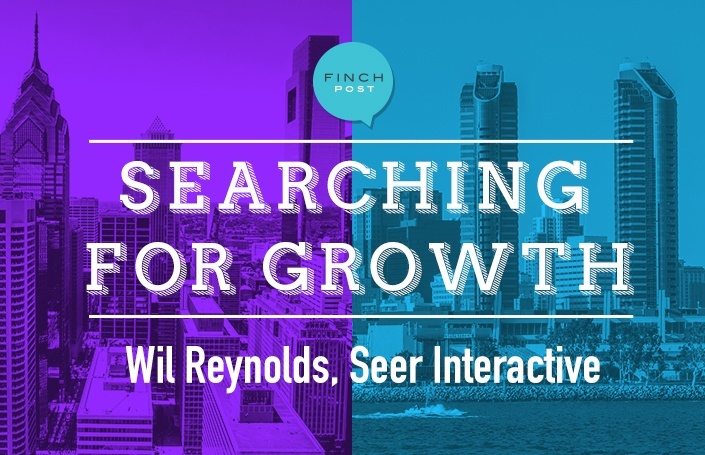 In this edition, Bill uses case studies to show how the strongest brands are built and delivered with a focus on the internal team. 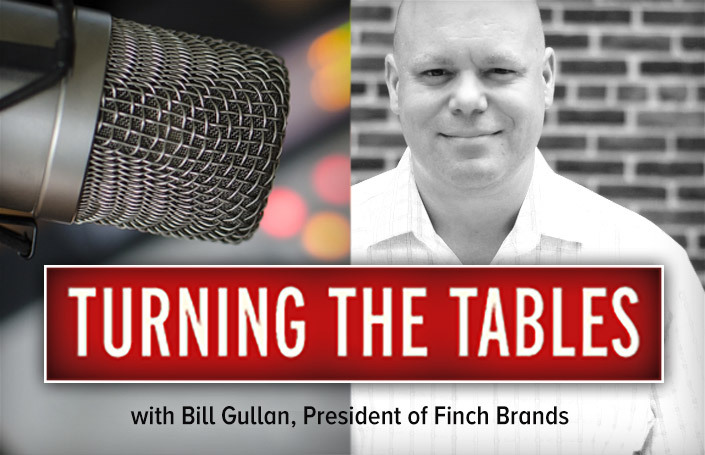 In this edition, host Bill Gullan seeks to set the world straight on what branding and strategy really mean! 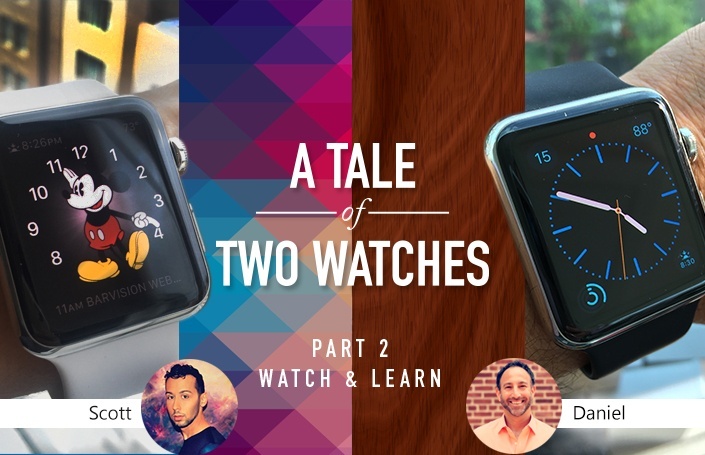 Two Finches share their thoughts on their latest toy- the Apple Watch. 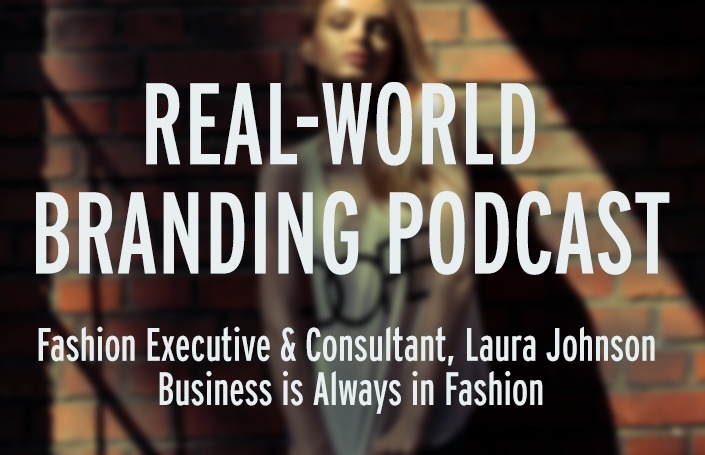 In this episode of Real-World Branding, Bill sits down with Laura Johnson, who shares her thoughts on today's fashion industry. 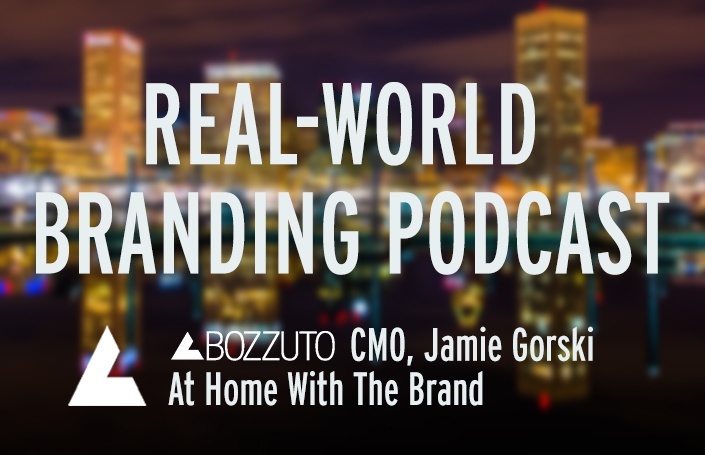 In this episode of Real-World Branding, Bill sits down with Bozzuto CMO Jamie Gorski. Jamie’s is a compelling story, full of practical insight. 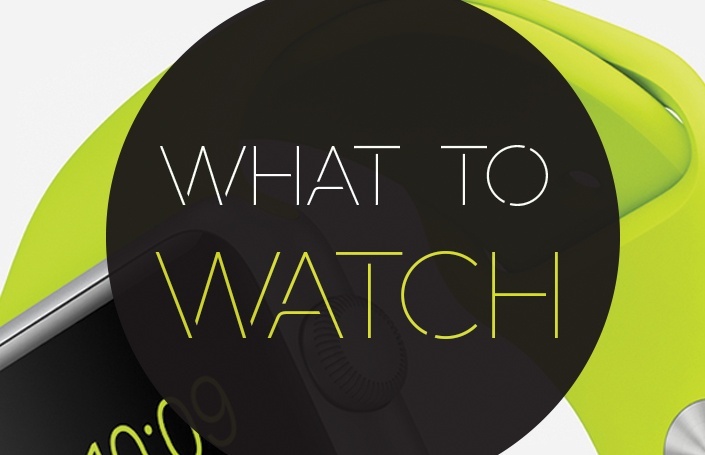 While the Apple brand clearly transcends all boundaries, does its newest innovation, the Apple Watch, suit an equally broad and diverse user base? 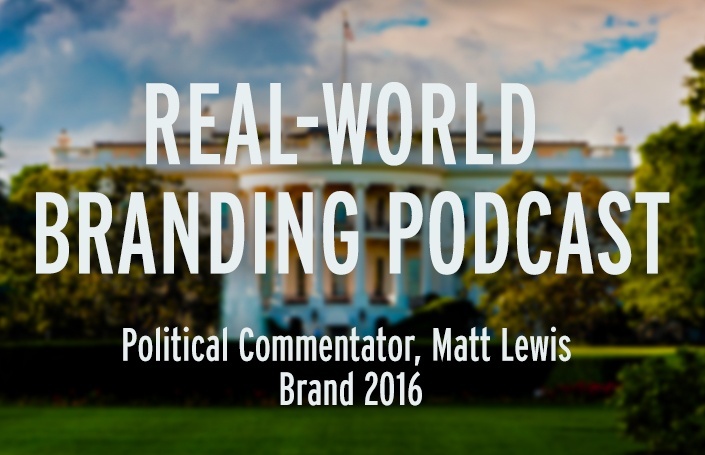 In this episode of Real-World Branding, Matt Lewis and Bill Gullan discuss the branding of 2016 political candidates and iconic campaign brands of the past. 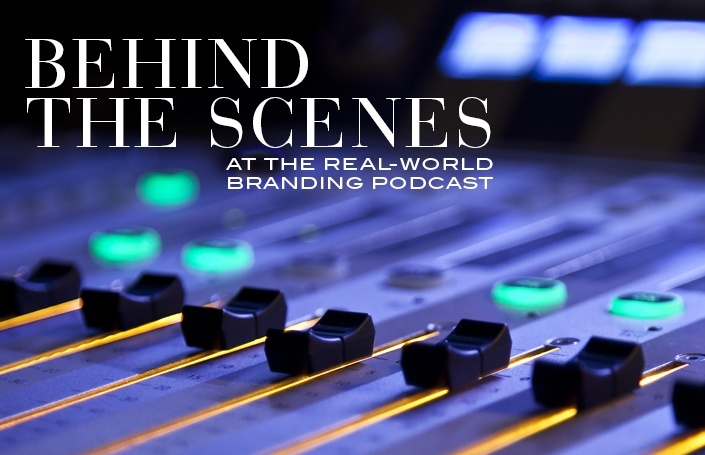 In this episode of Real-World Branding, Keira walks us through the twists and turns of her career and the story behind the recent success of Nutrisystem. 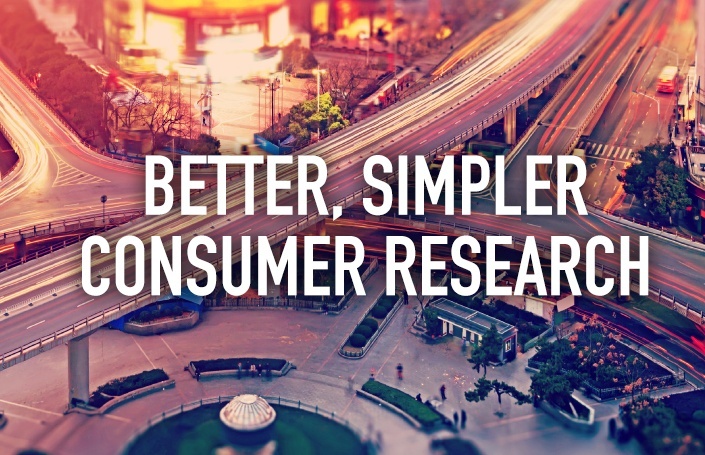 Finch Brands finds the middle market may invest in consumer research in high leverage situations, but companies do not possess a consistent flow of insight. 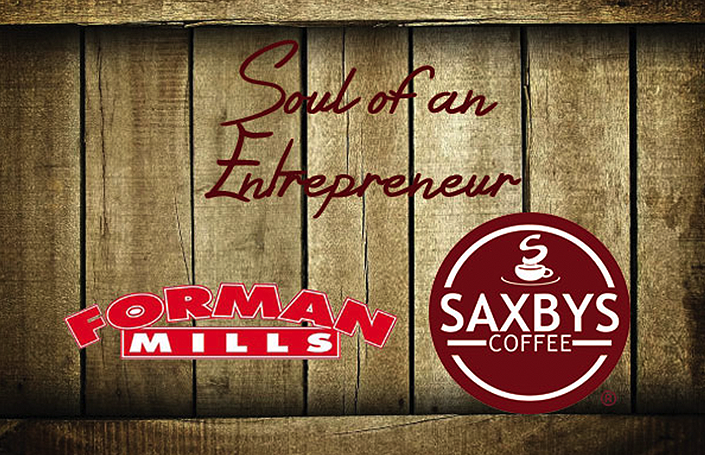 Saxbys Coffee, and its Founder & CEO Nick Bayer, are very much on the move. 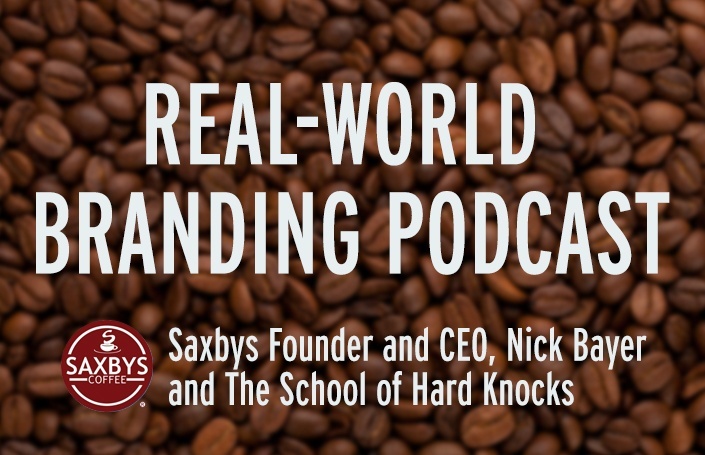 In this podcast, Nick explains what makes Saxbys unique. 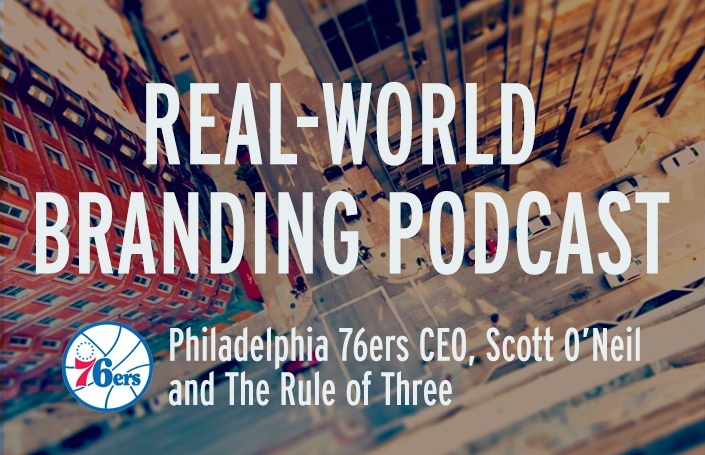 We sit down with Scott O'Neil, CEO of the Philadelphia 76ers, to discuss the brand, elevating a city with a sports team, and “The Rule of Three”. From the heart wrenching, to the humorous, to the head-scratching – this year’s Super Bowl ads ran the gamut. From Finch Brands' experience, Brand Architecture is one of the most overlooked tools for driving growth in a CEO’s toolkit. 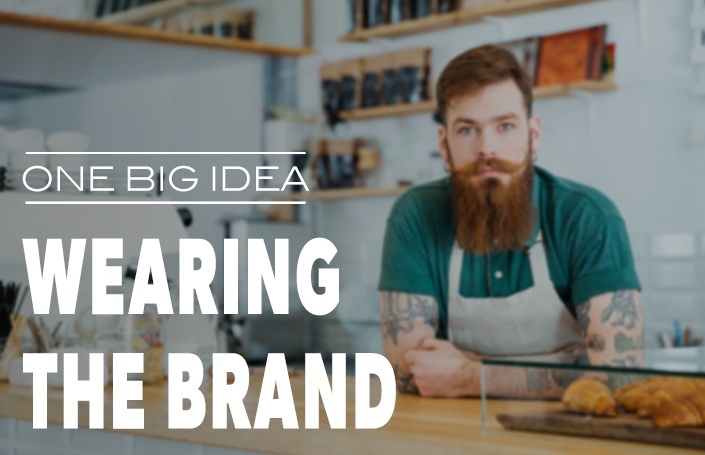 Senior Brand Strategist, Annette Saggiomo, discusses the concept of brand authenticity and why it’s become such an effective marketing tool. 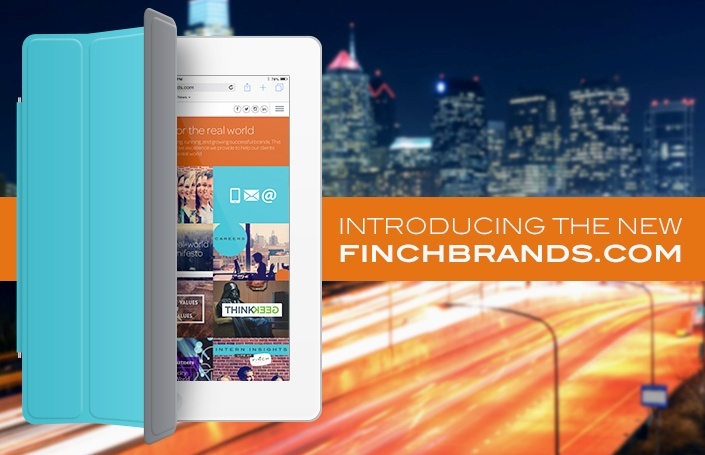 Our president, creative director, and senior art director discuss the development of an enhanced market position and a website redesign for Finch Brands. 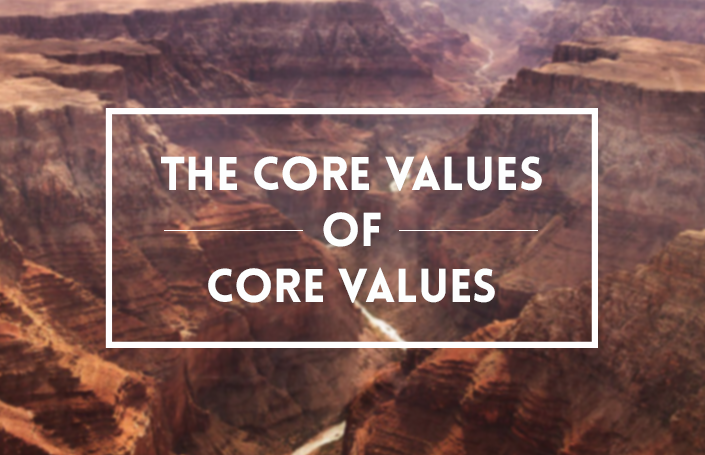 Daniel Erlbaum, CEO, discusses creating a set of core values that work for your company. 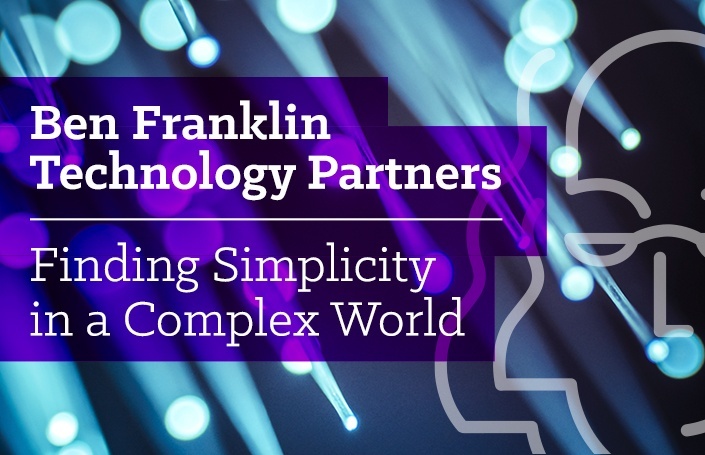 This week's Finch Post answers one question: how can Ben Franklin Technology Partners of Southeastern PA succinctly explain what it does and why it matters? 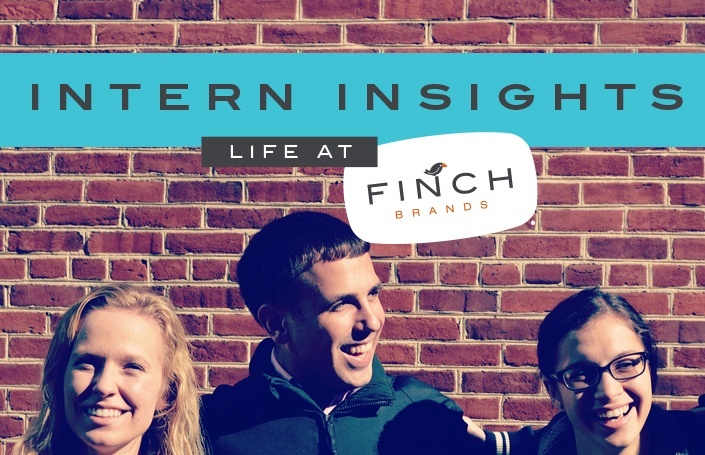 Ever wondered what our internships are like at Finch Brands? 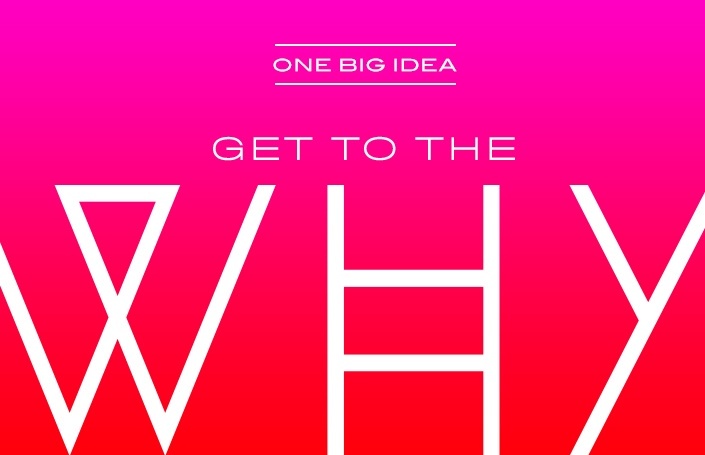 Our current interns discuss branding, new perspectives, and the politics of office candy. 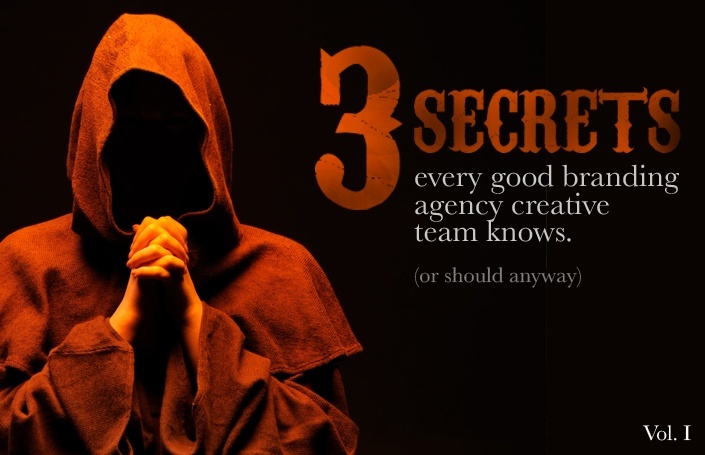 Our creative director broke the sacred vows of Creative Team secrecy to bring you our latest blog post—what every good branding agency creative team knows. 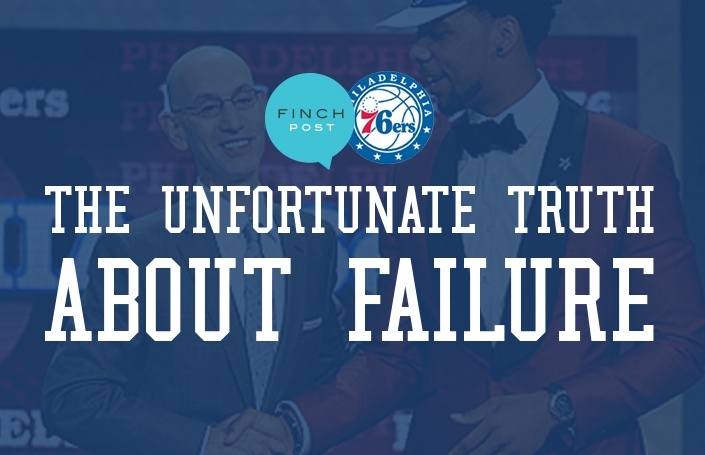 For the Philadelphia brand, the crux of the issue is that the structure of our regional marketing apparatus is nonsensical and ultimately self-defeating. 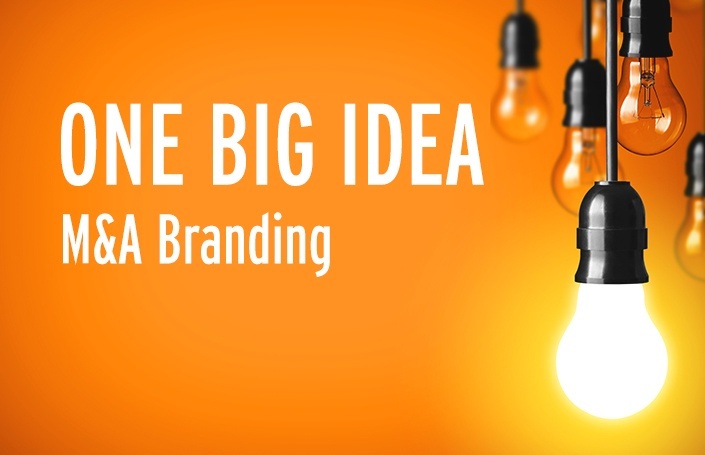 Enjoy this video from the Finch Brands leadership team covering Reasons to Rebrand for organizations wondering if they’ve reached that critical point. 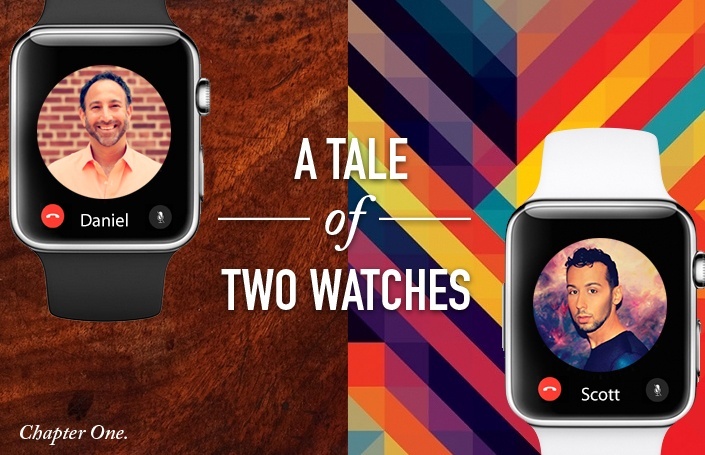 With the announcement of the Apple Watch comes much excitement and speculation—but will it be the next iPad? 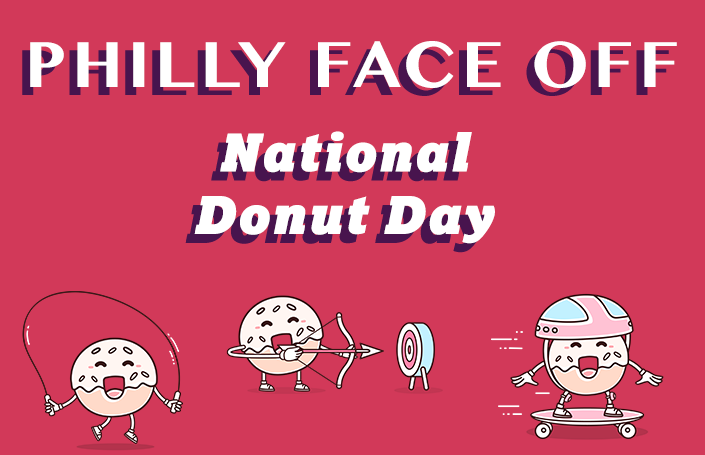 Or Google Glass? 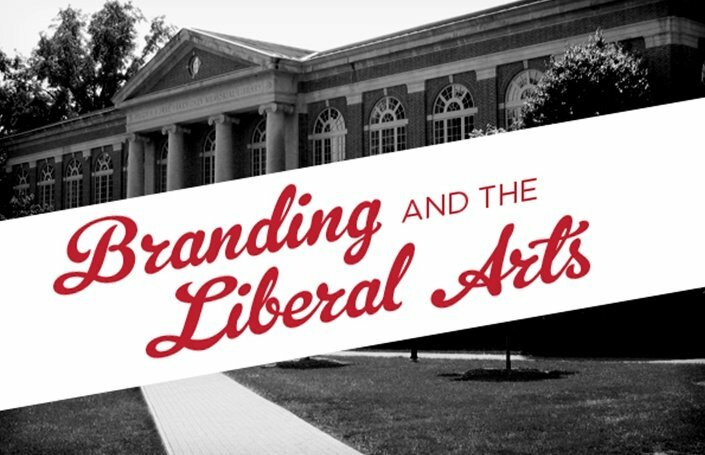 Finch Brands president, Bill Gullan, weighs in on the benefits of a liberal arts education in the branding industry. 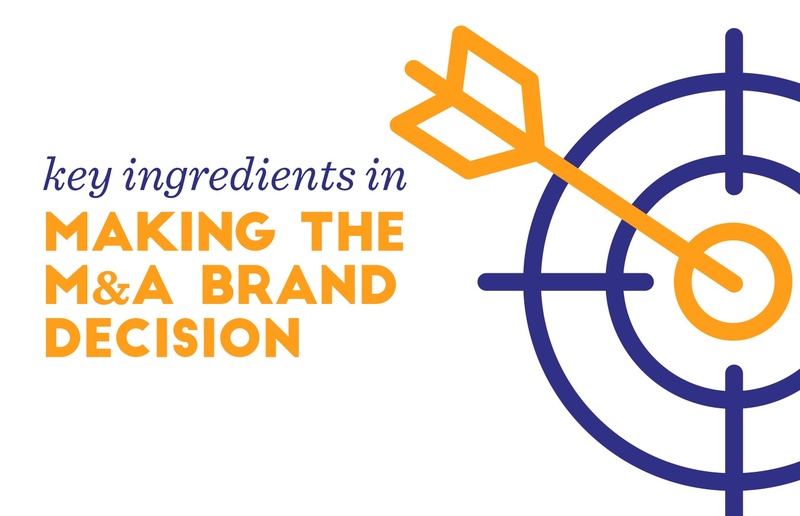 Finch Brands' clients have been thinking about Vision and Mission—the last few years have been fast-paced as to reveal the need to reassess brand strategy. 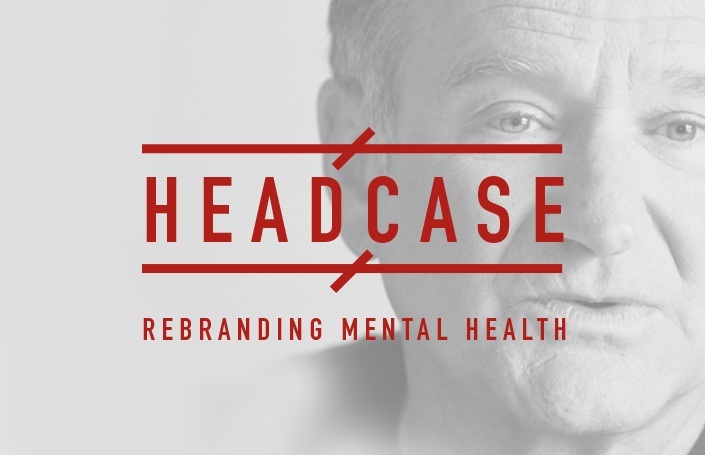 In the wake of Robin Williams's death, Finch Brands president, Bill Gullan wrote about rebranding mental health to contribute to broader understanding. 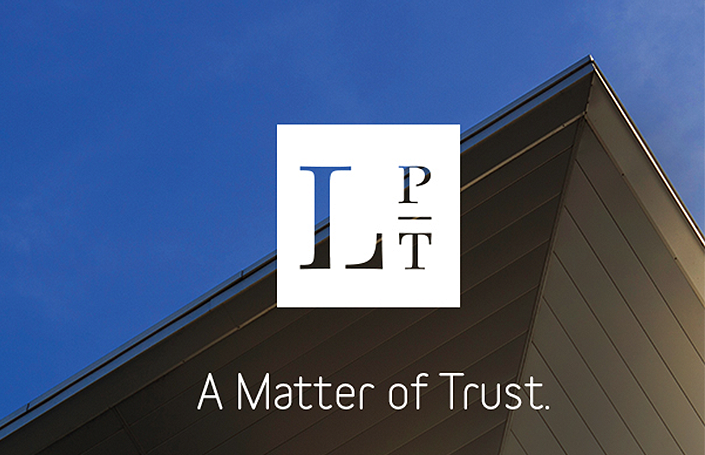 As with any stimulating project that leads to a positive conclusion, we’re proud to have authored the rebranding of Liberty Property Trust. 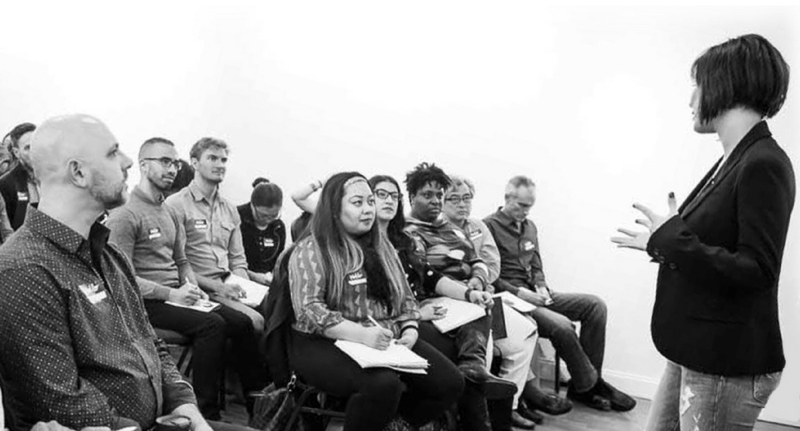 As I've moved into my current role at Finch Brands, there's one thing I’ve been greedy about is continuing in the role of primary focus group moderator. 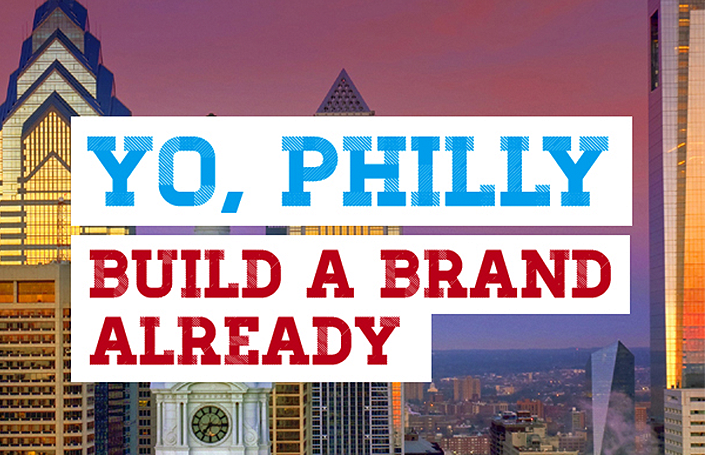 Back in August, I used this space to excoriate the Philadelphia tourism and hospitality industry for their lack of focus on building a brand. One of the most interesting things about Super Bowl Sunday – beyond the game (not this year) and the ads (so-so) has become the ‘second screen’ experience. 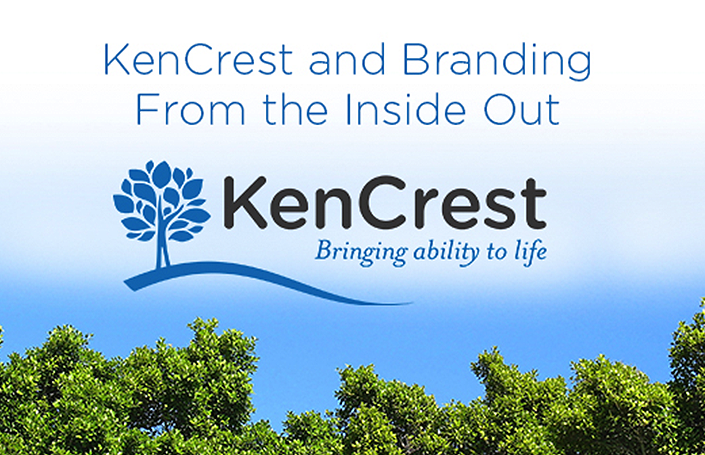 KenCrest has earned its status as one of the leading human services agencies, helping people with intellectual and developmental disabilities and autism. 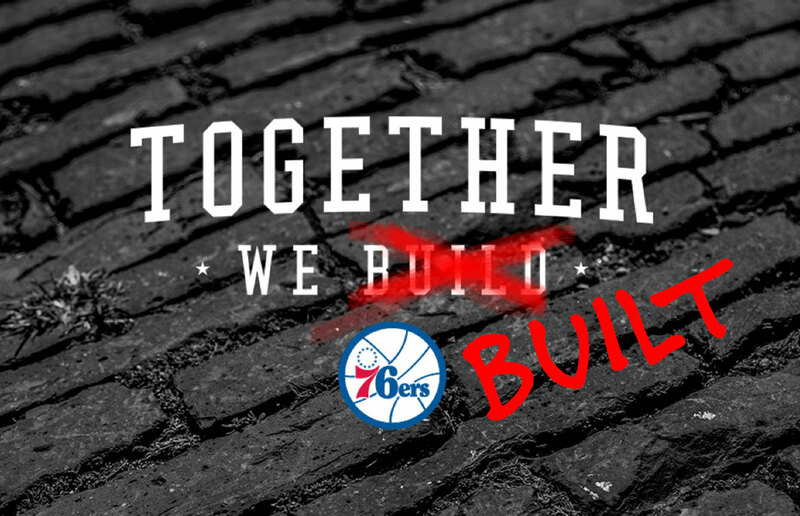 On draft night, the Philadelphia 76ers front office made its strategy clear. Being good enough to compete each year is not going to lead to a championship. 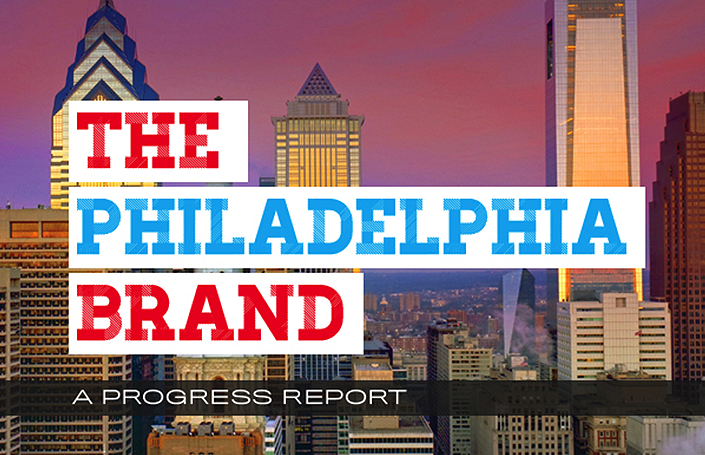 As the 5th largest city in the country and a very active contributor to the national life, Philadelphia branding does not pack a punch to match its weight. I'd rather be respected than liked—a leadership lesson I've heard from many sources. But does it have to be one or the other? 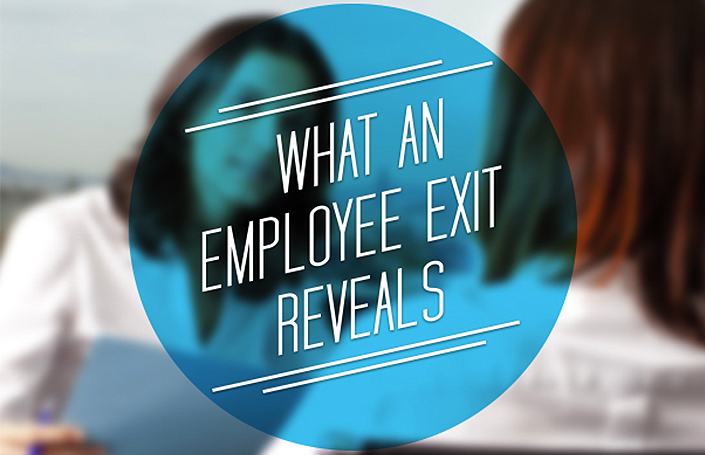 What an employee exit reveals. The soul of an entrepreneur – restless, urgent, intuitive yet curious, confident yet neurotic, financially-driven yet inspiring, brash yet humble.